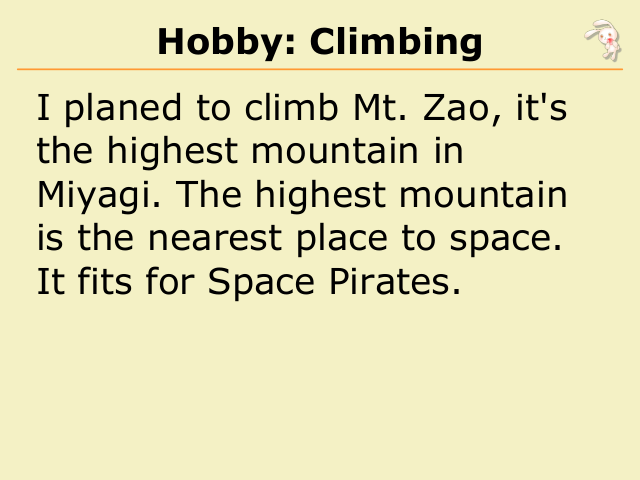 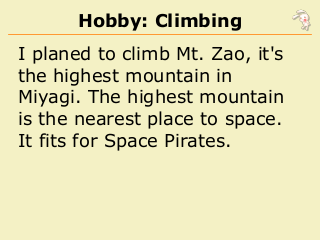 is the nearest place to space. 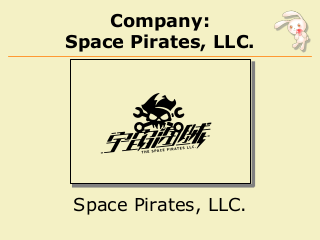 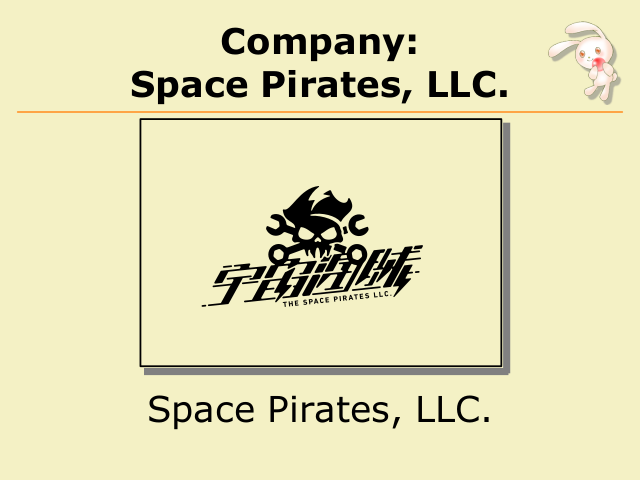 It fits for Space Pirates. 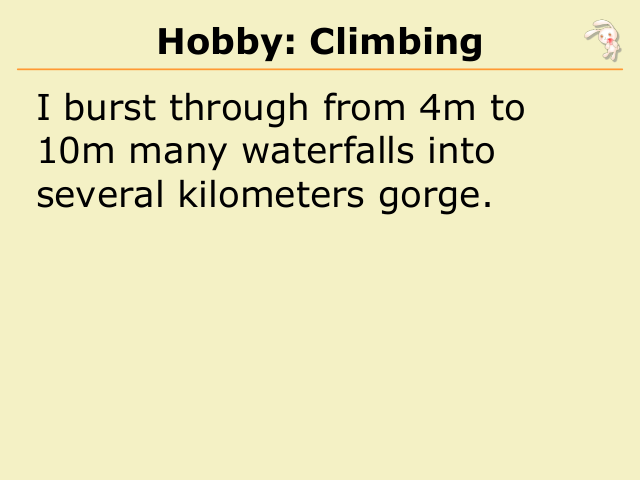 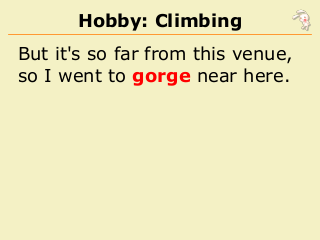 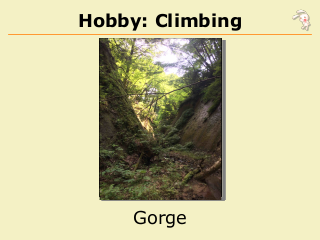 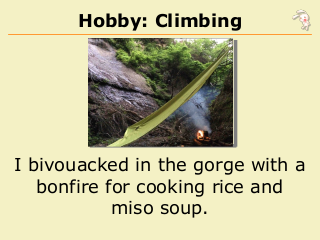 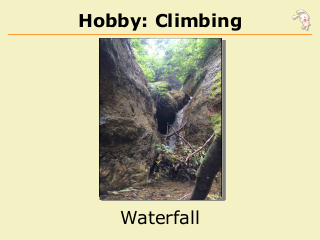 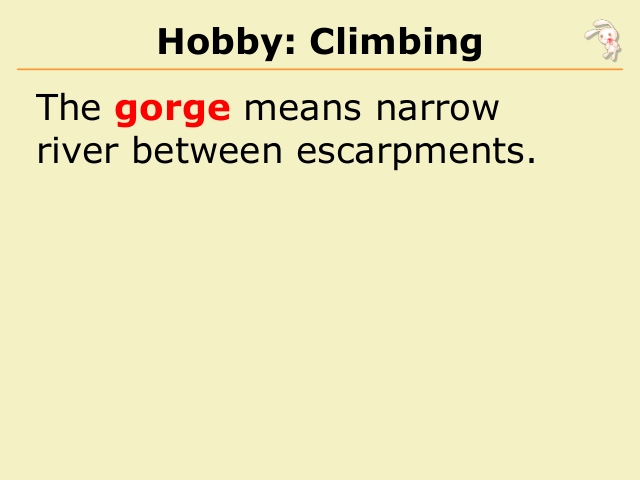 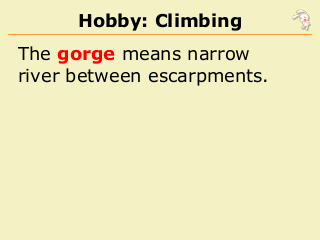 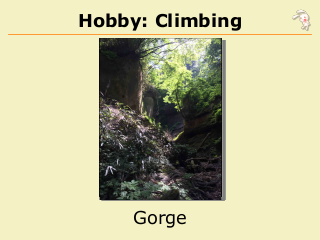 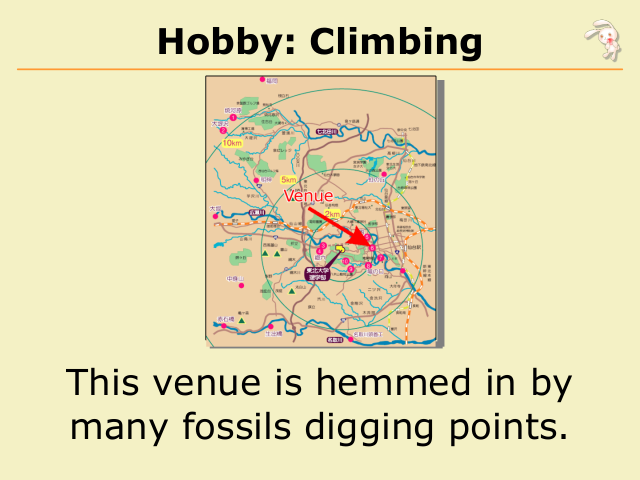 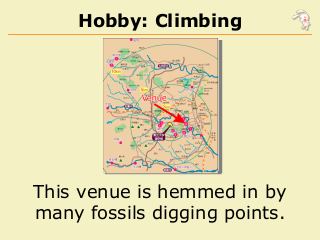 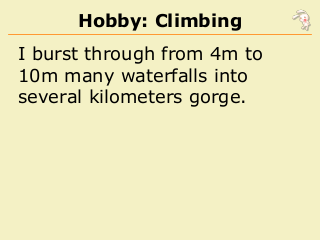 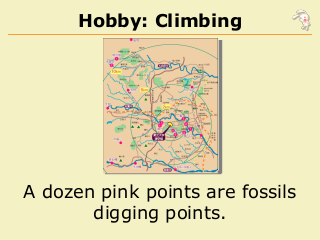 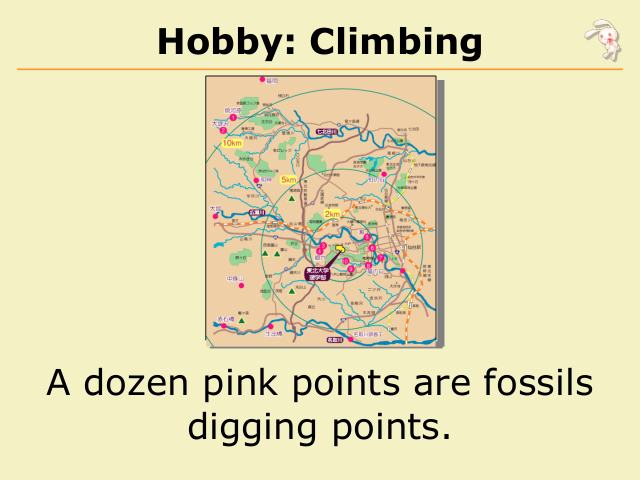 so I went to gorge near here. 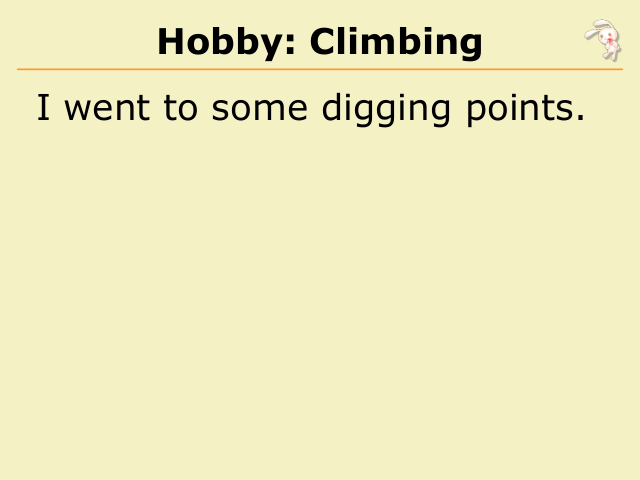 I went to some digging points. 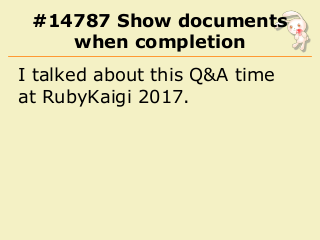 in a 24 hours period. 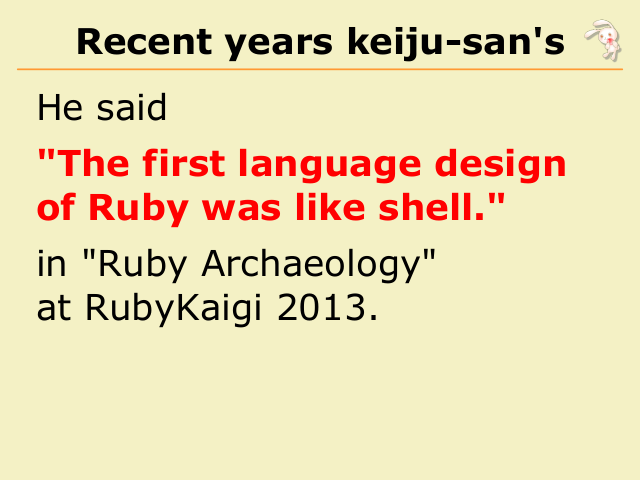 of Ruby was like shell." 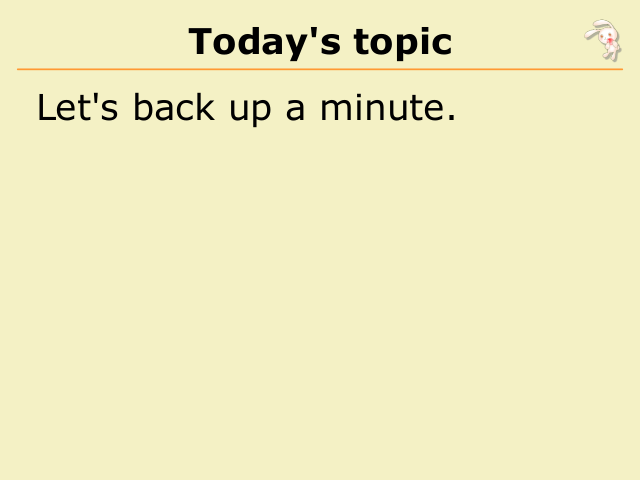 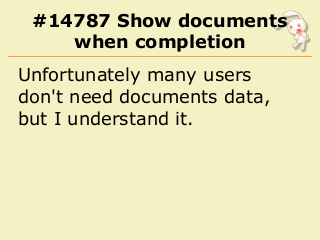 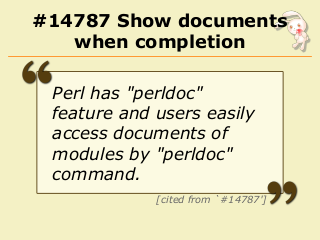 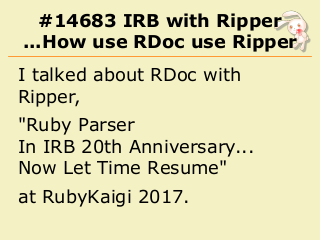 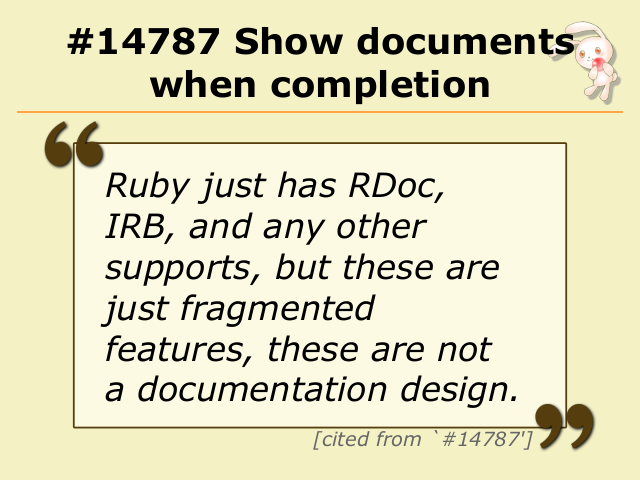 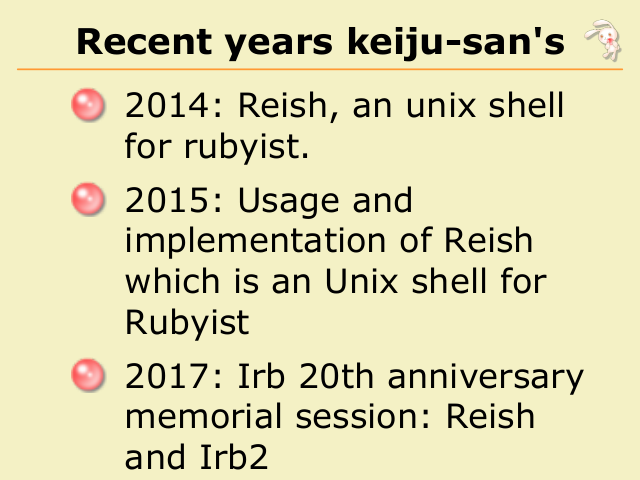 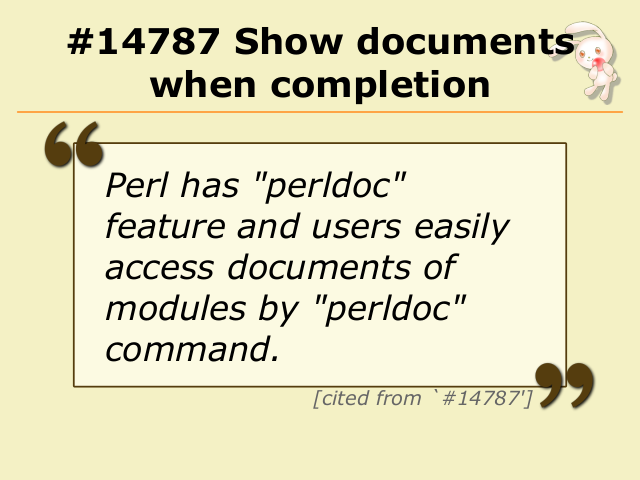 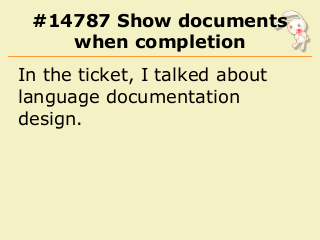 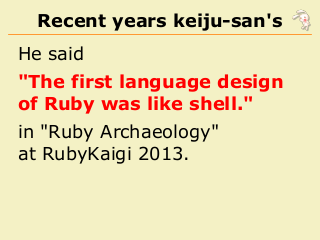 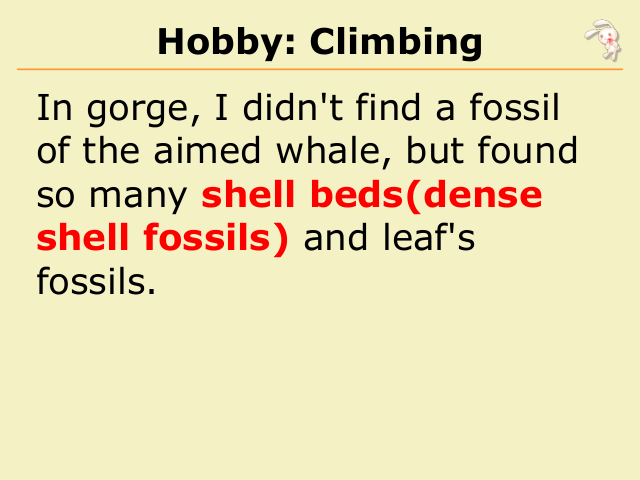 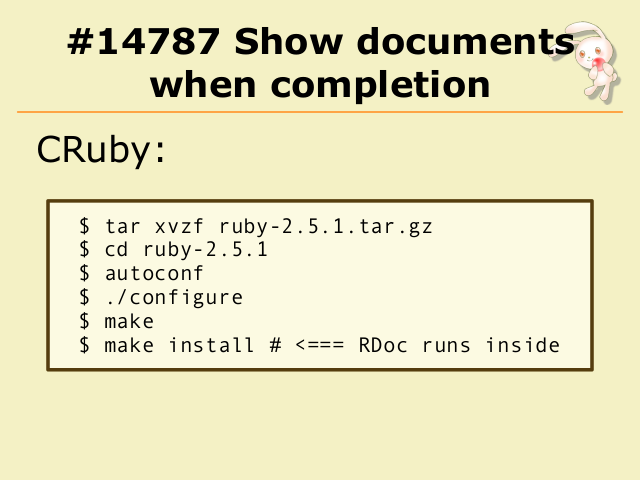 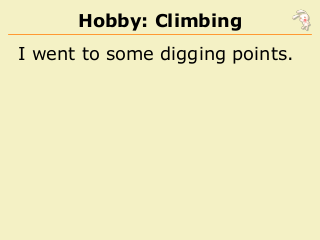 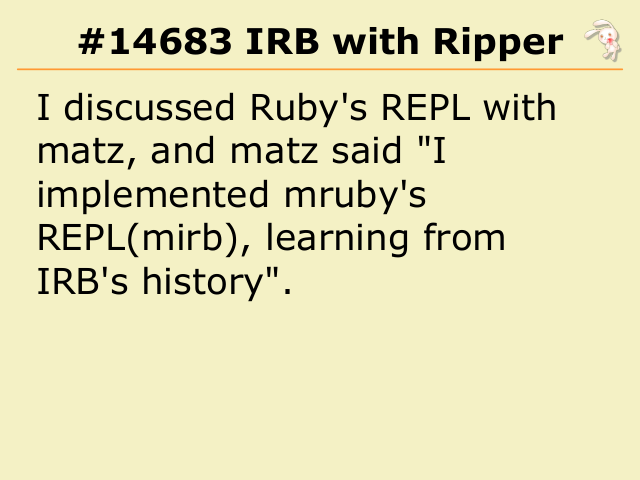 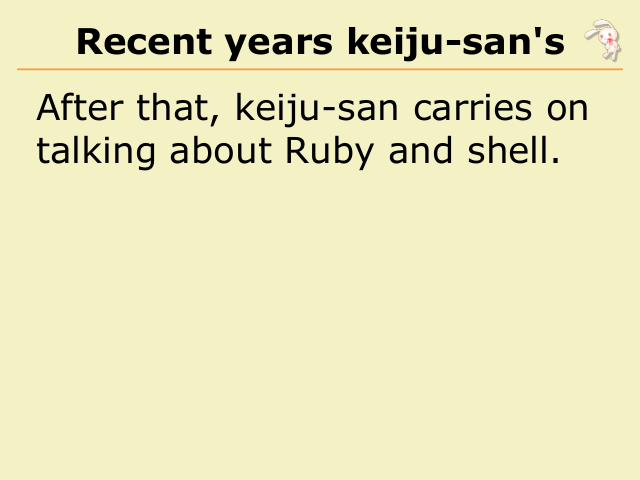 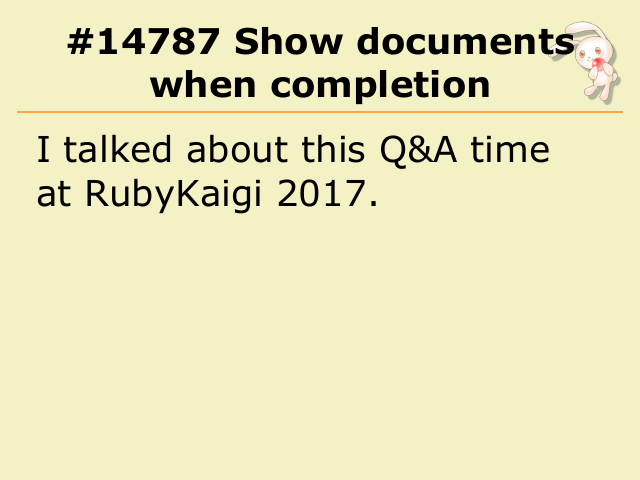 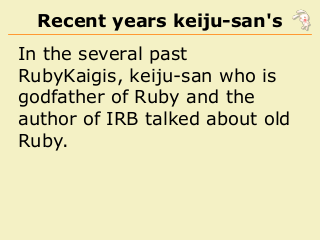 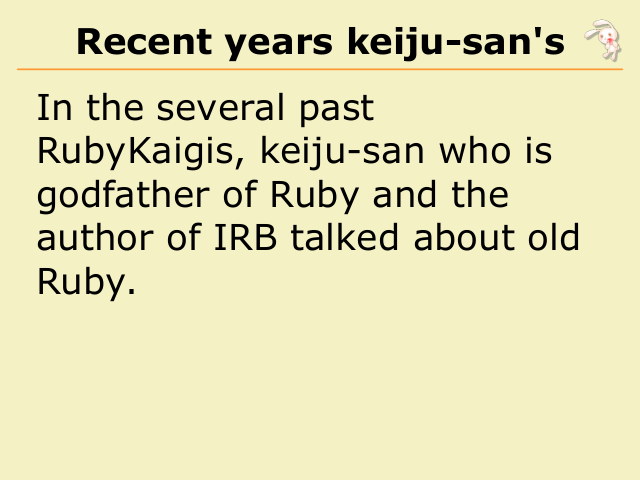 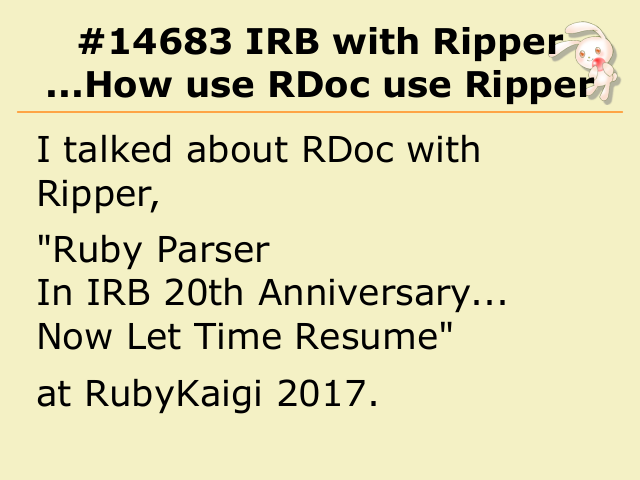 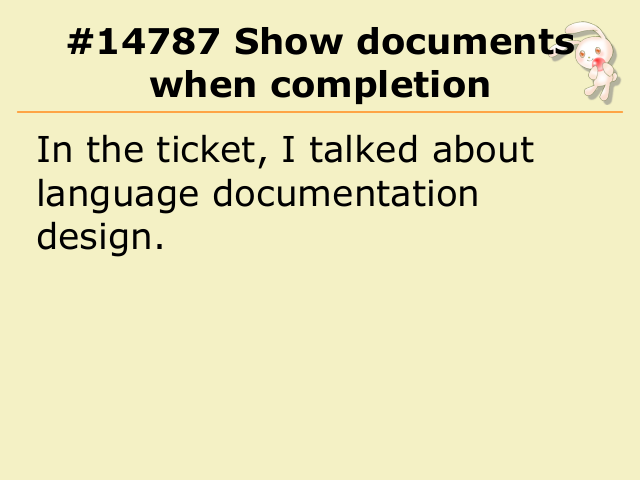 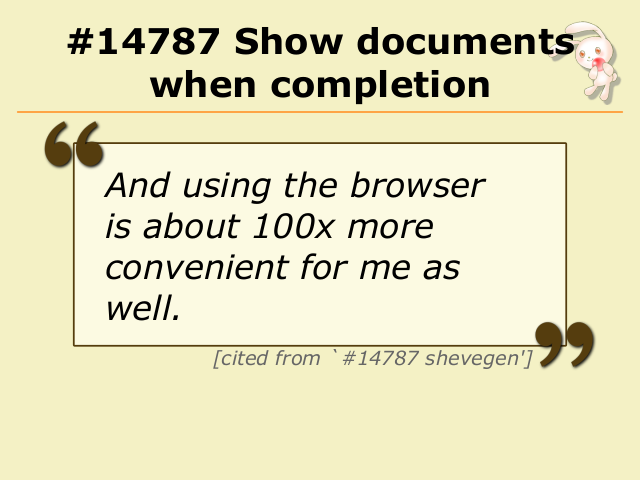 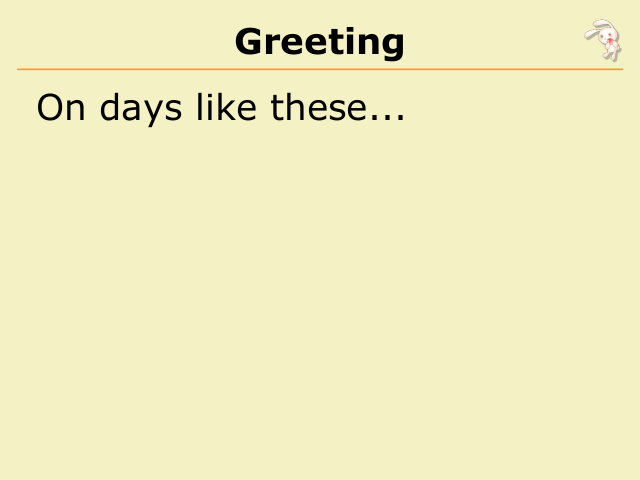 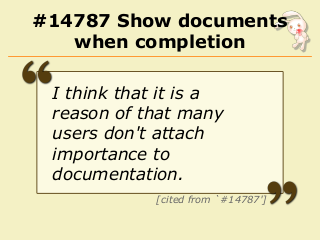 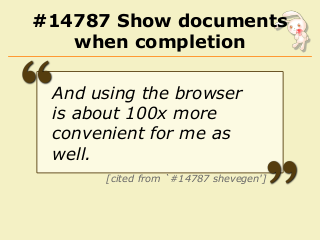 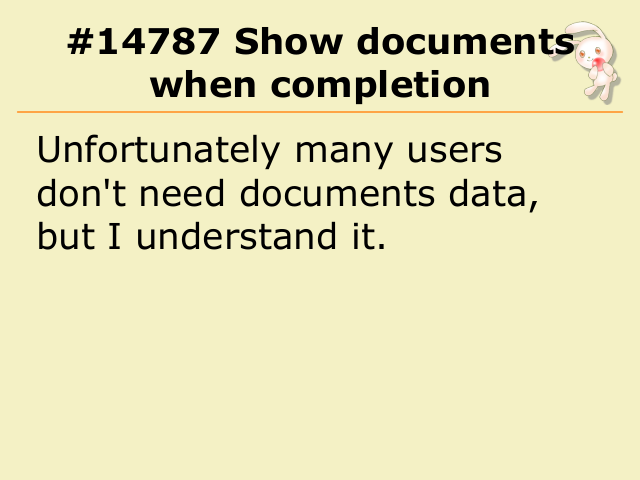 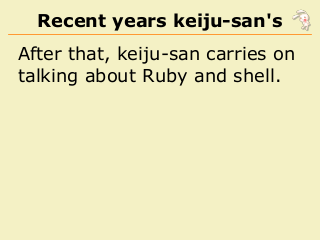 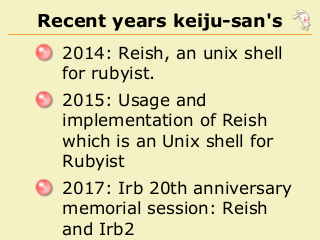 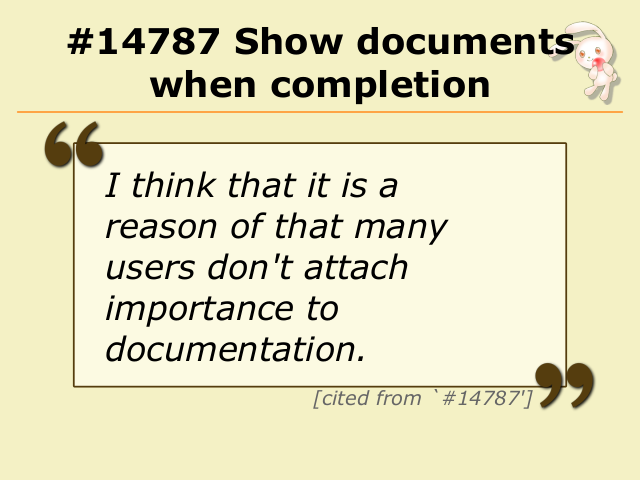 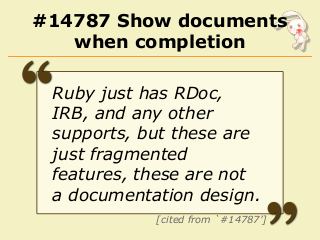 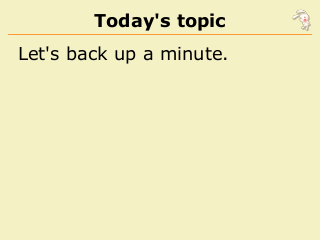 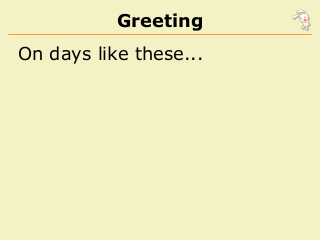 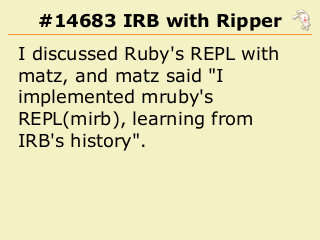 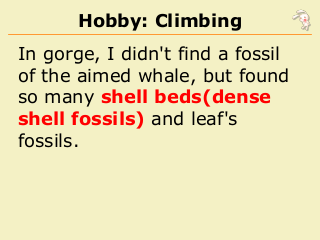 talking about Ruby and shell. 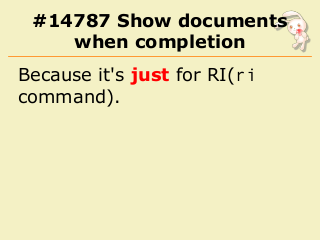 san's one, don't miss it. 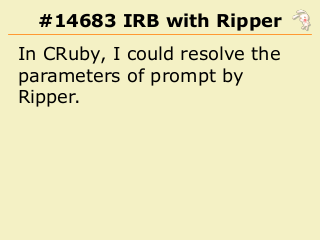 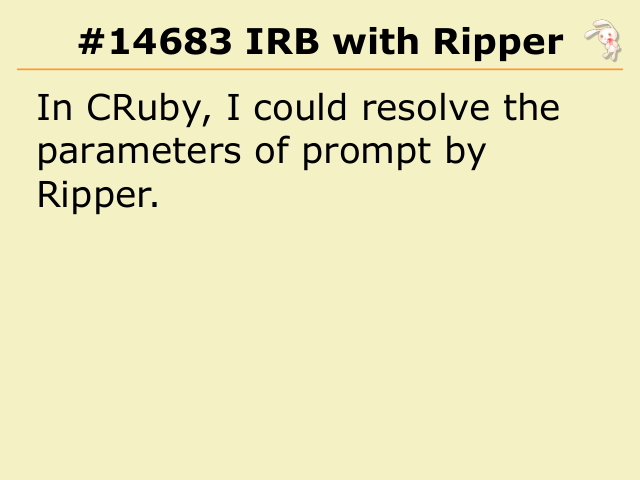 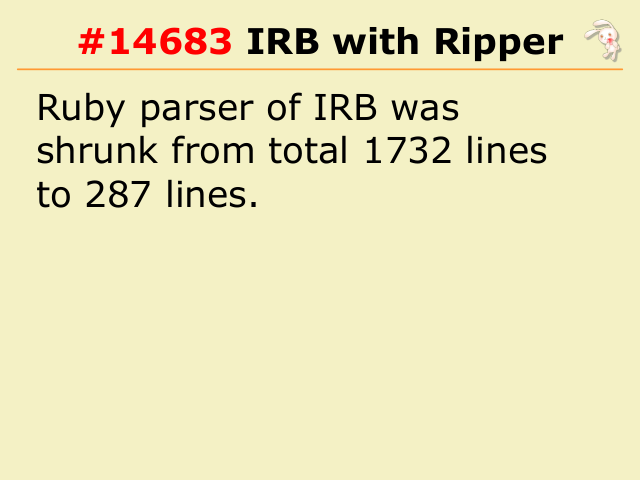 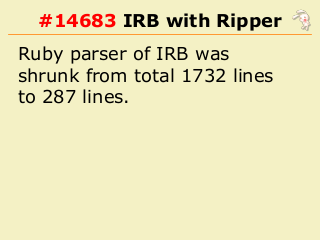 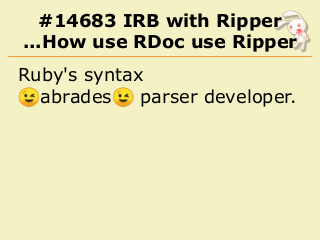 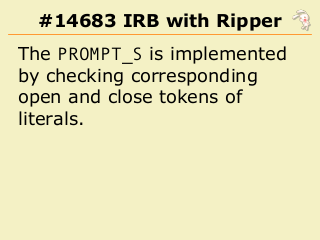 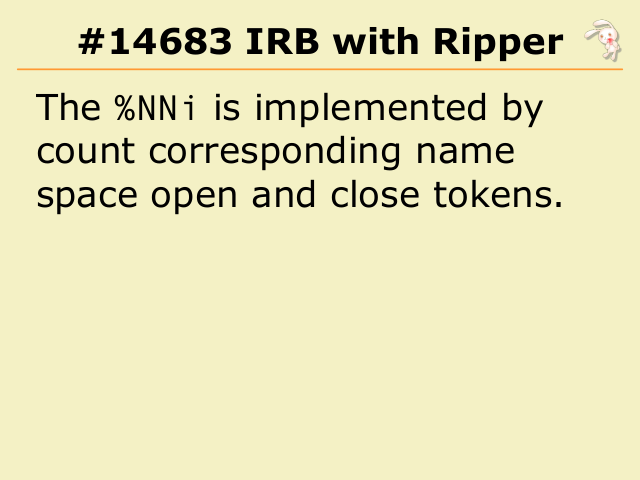 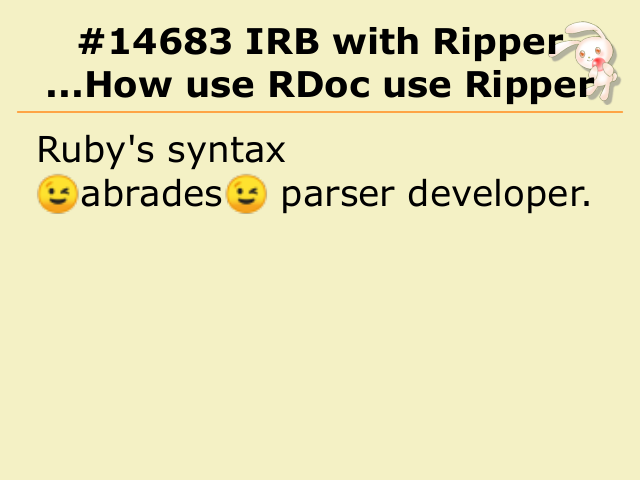 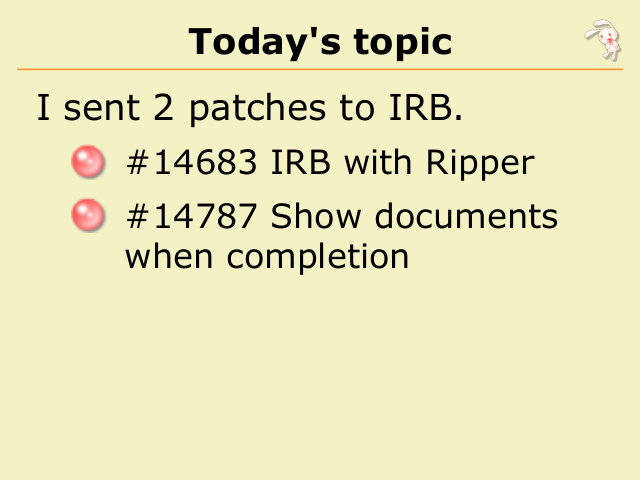 I sent 2 patches to IRB. 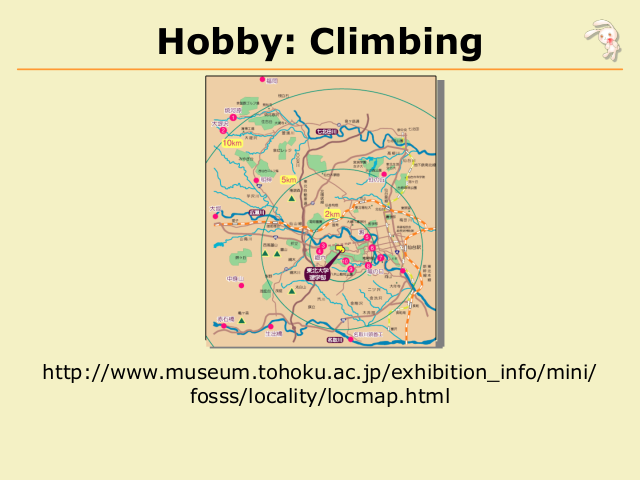 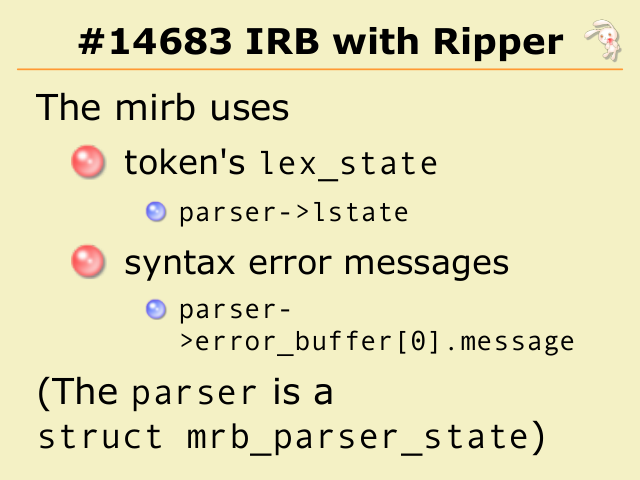 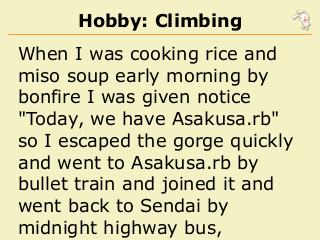 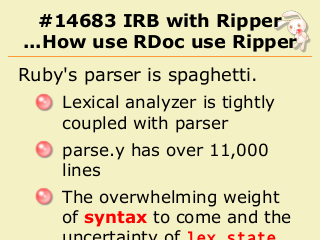 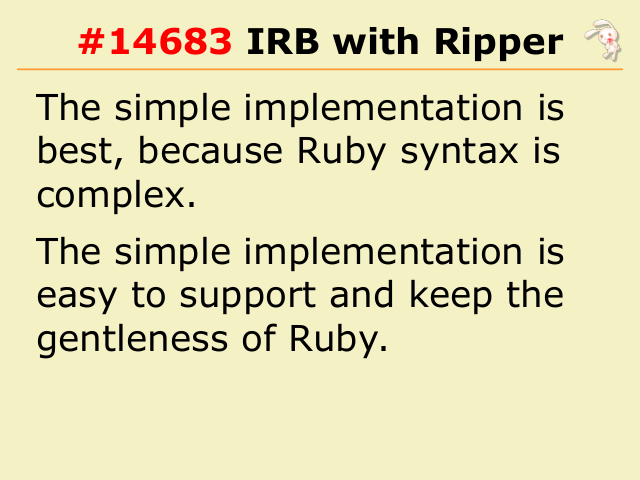 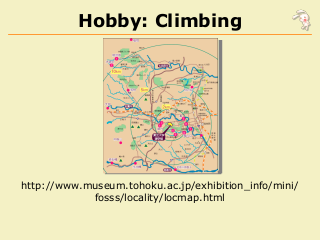 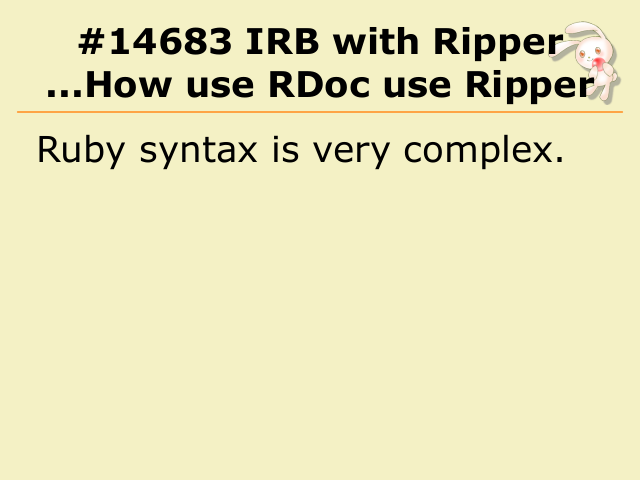 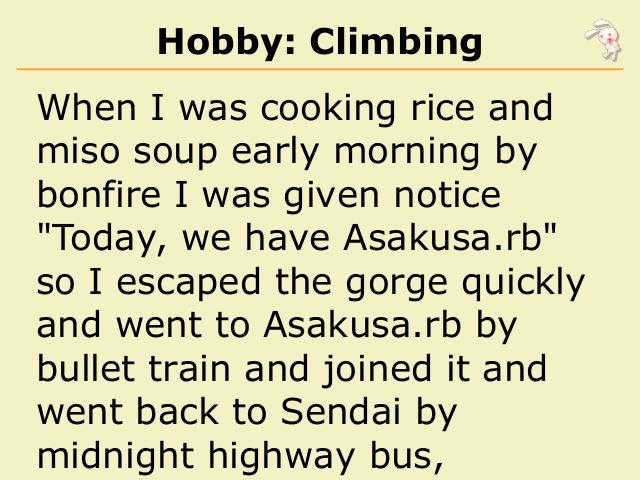 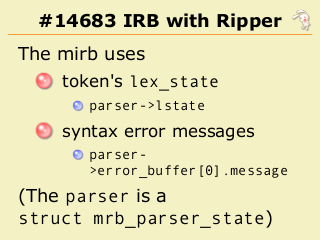 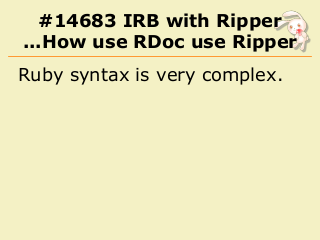 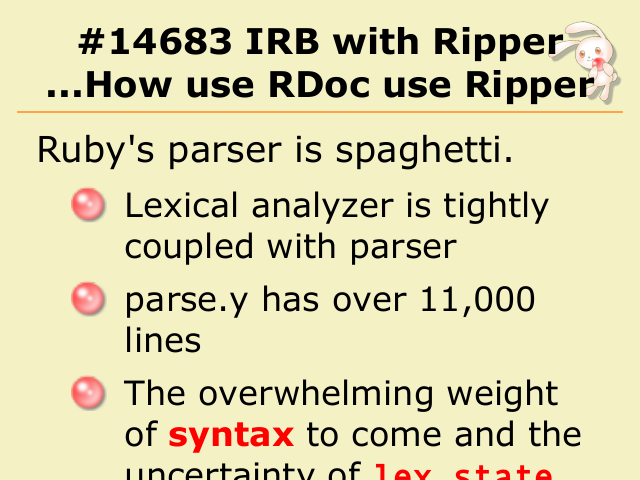 Ruby syntax is very complex. 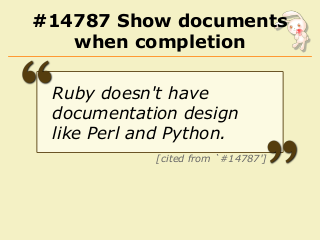 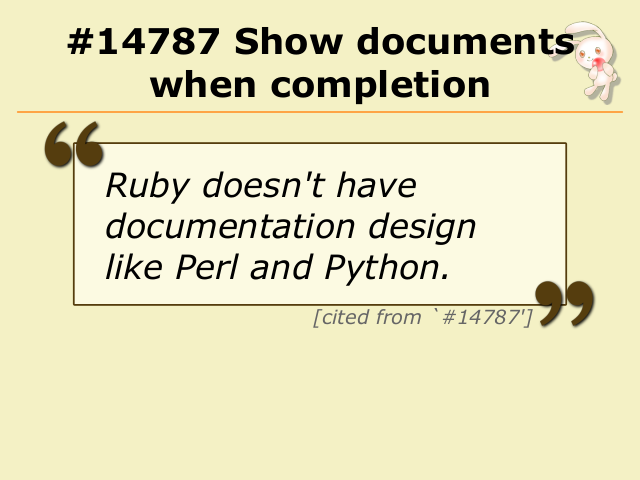 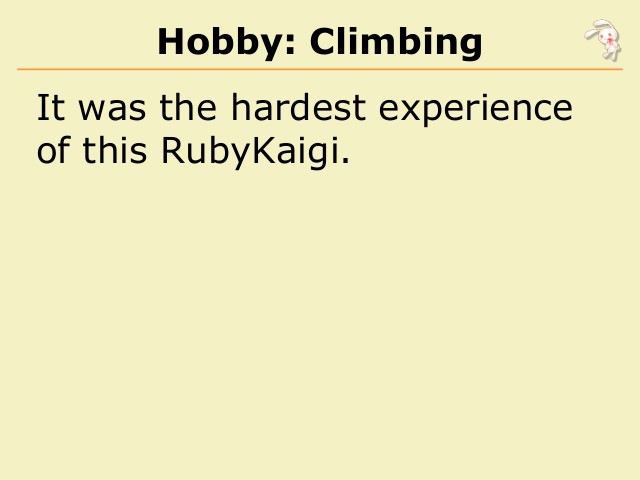 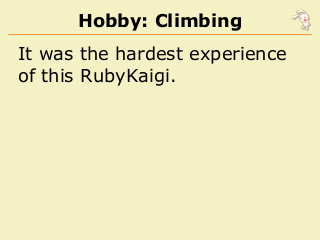 It's great point of Ruby. 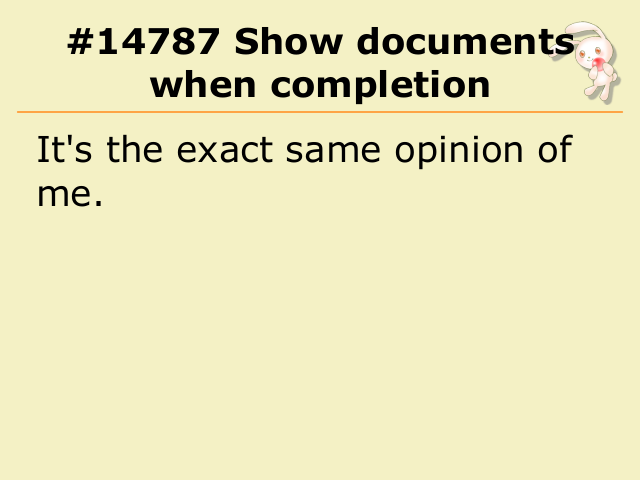 evaluates it at the timing. 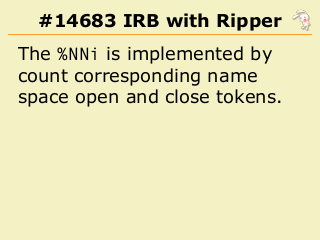 space open and close tokens. 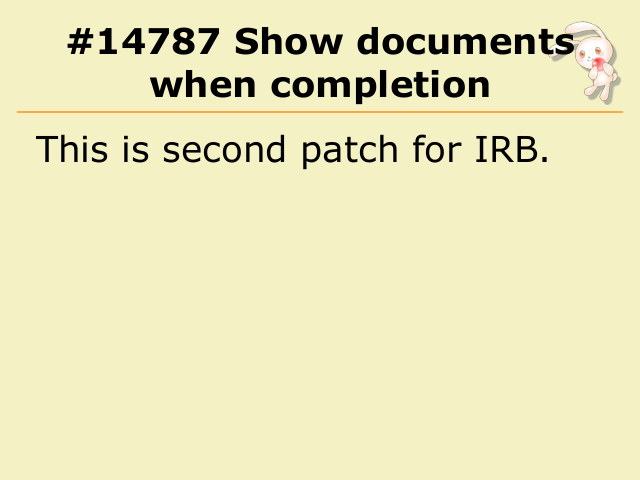 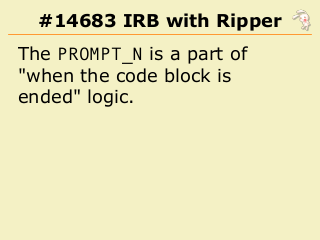 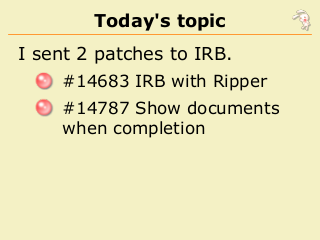 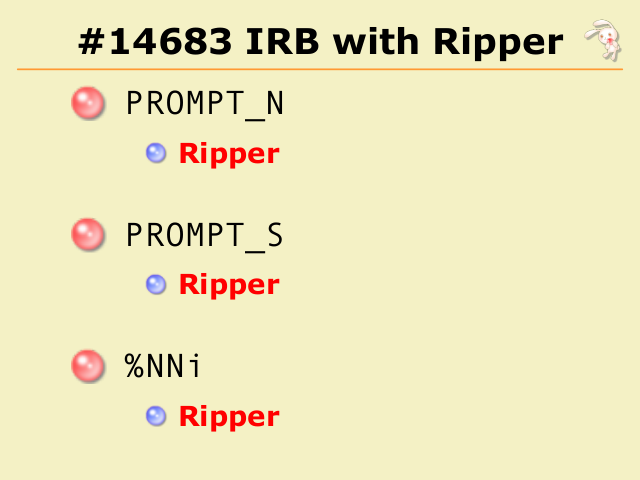 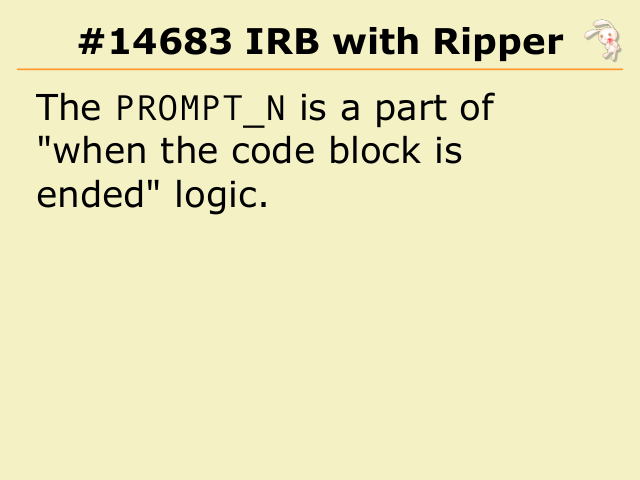 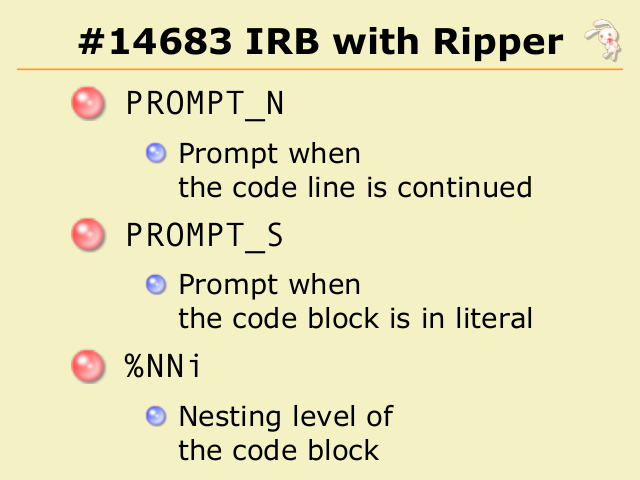 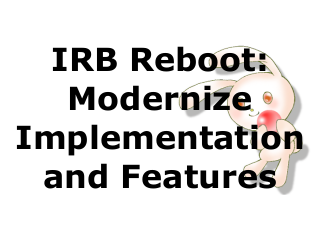 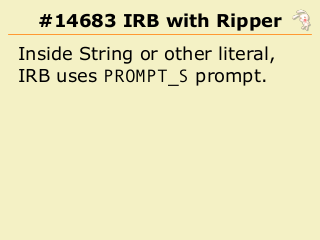 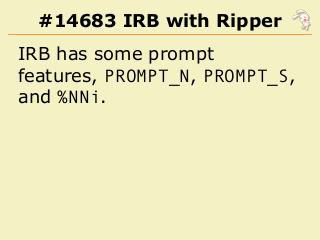 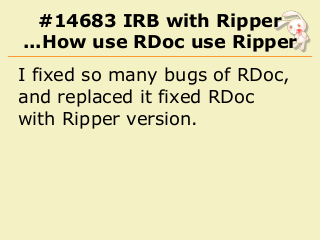 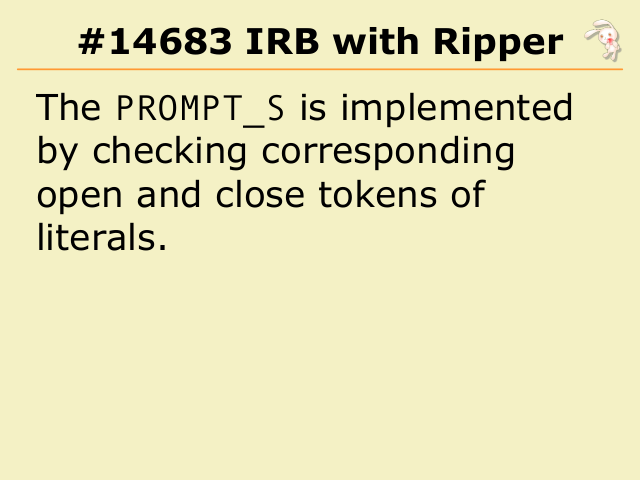 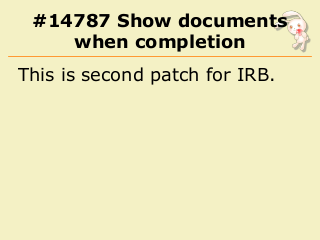 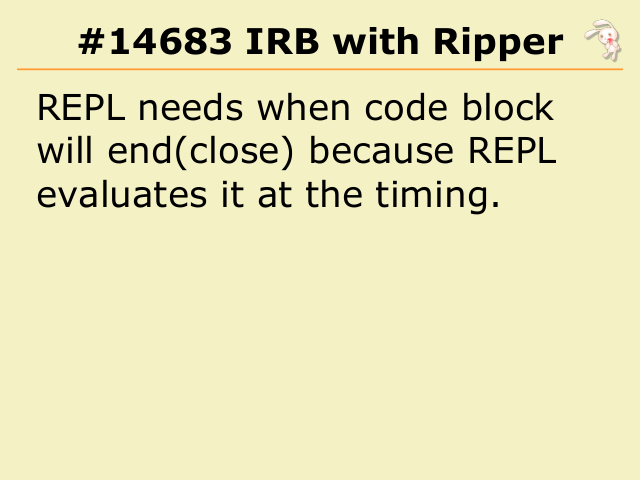 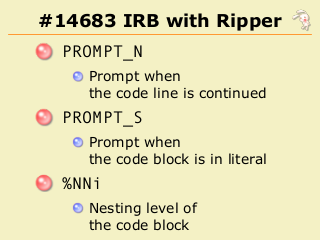 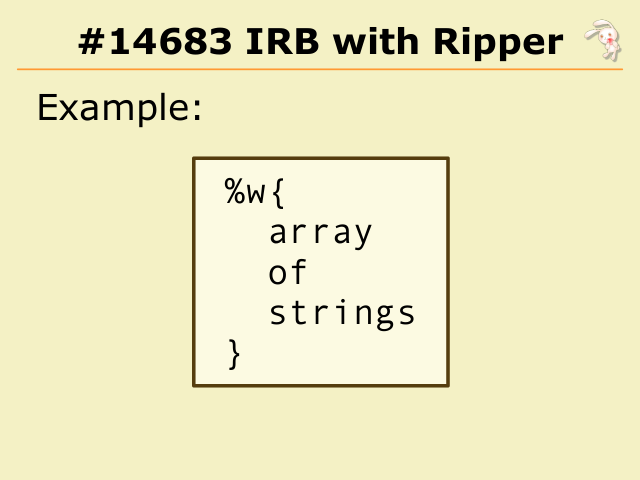 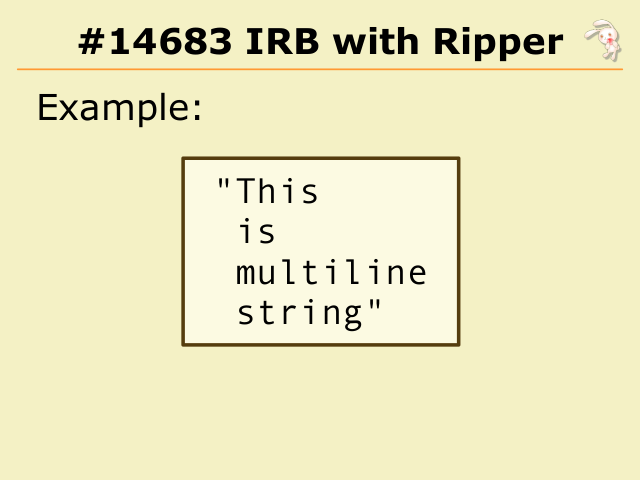 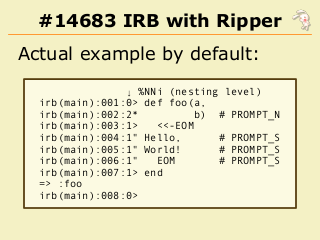 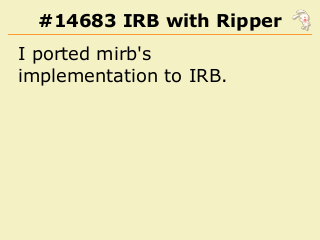 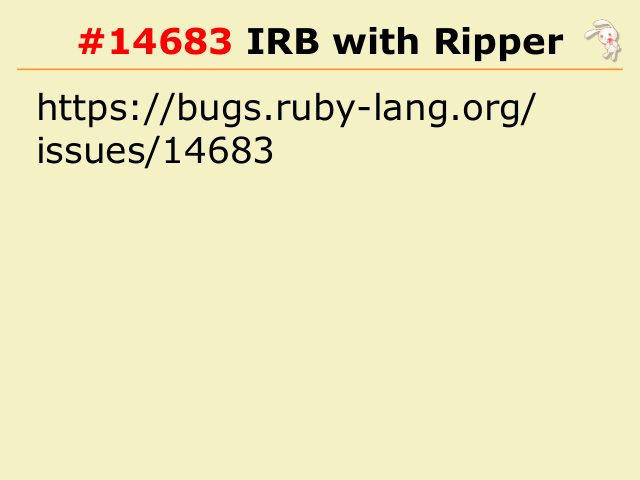 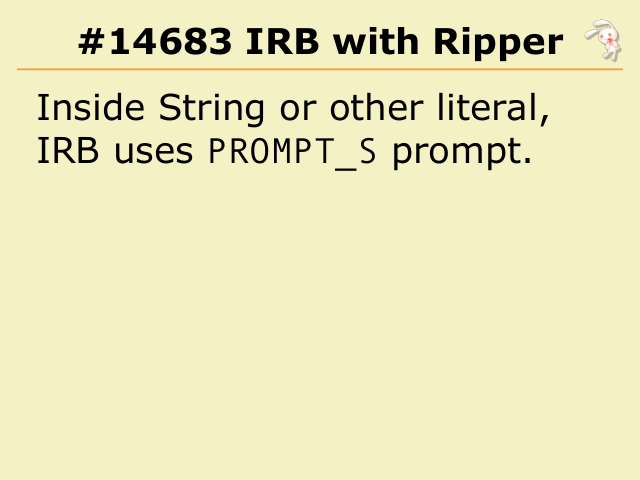 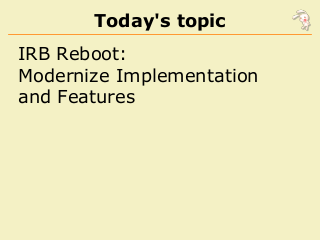 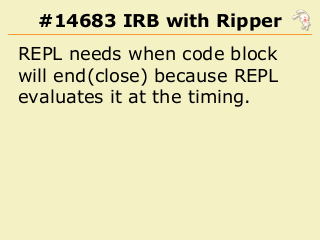 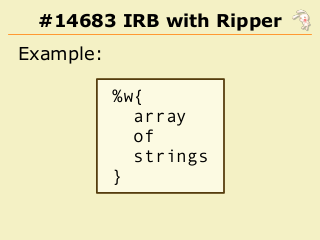 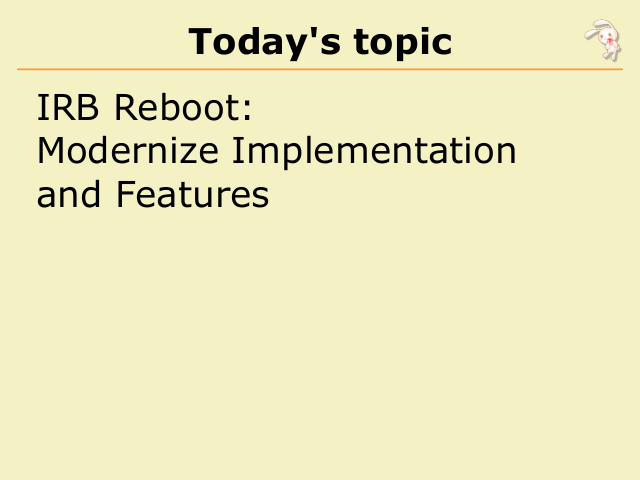 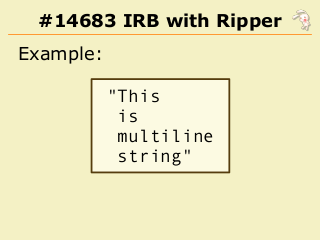 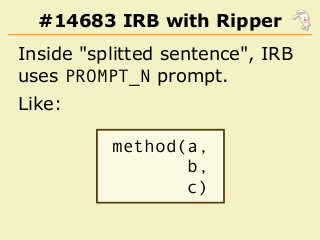 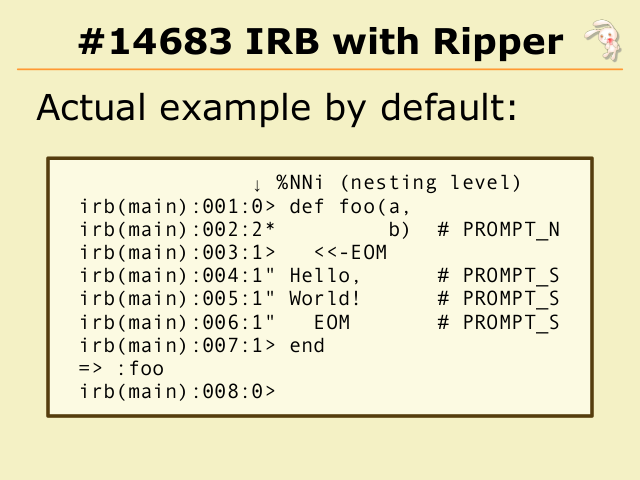 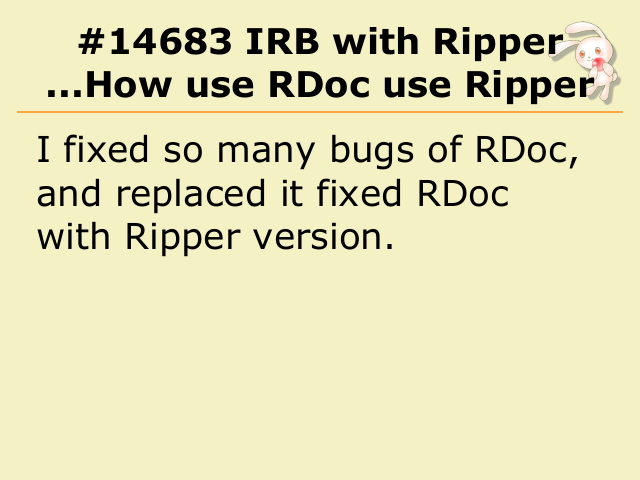 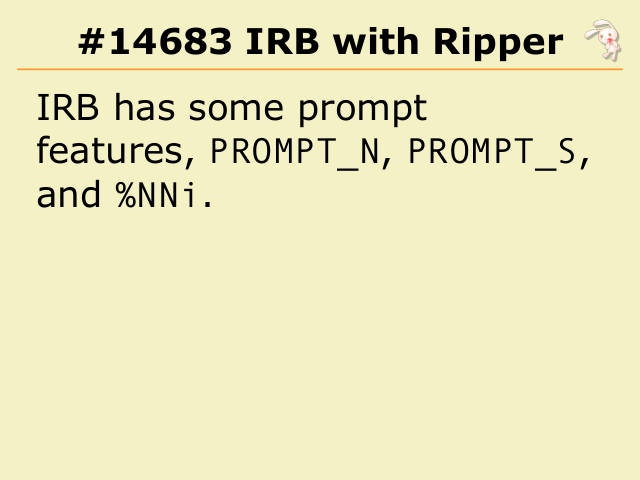 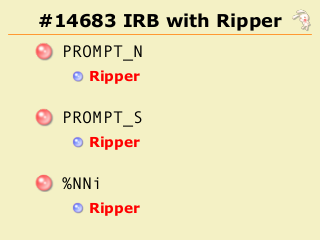 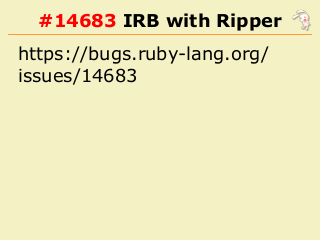 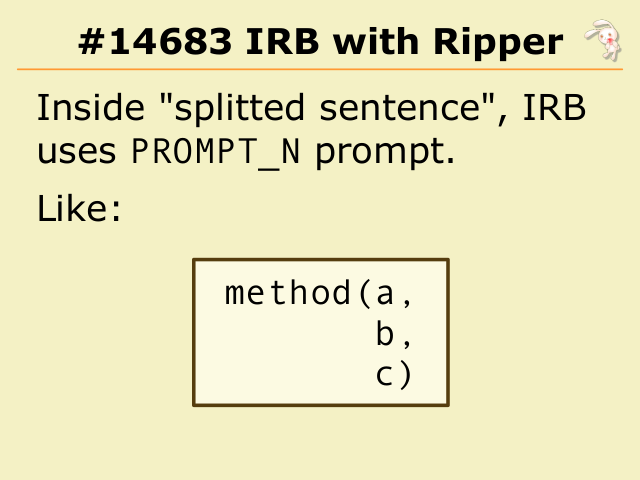 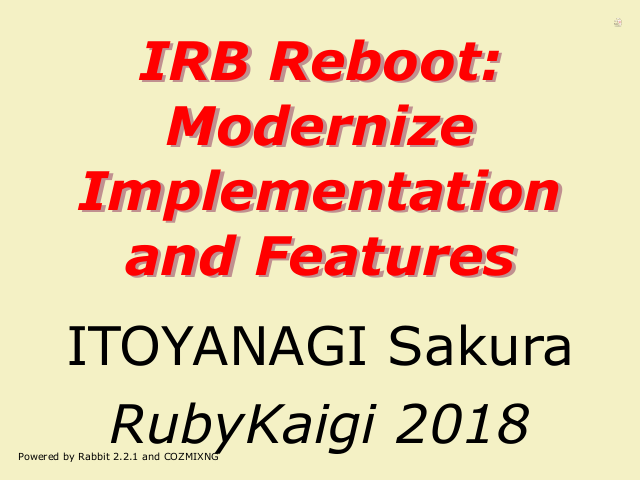 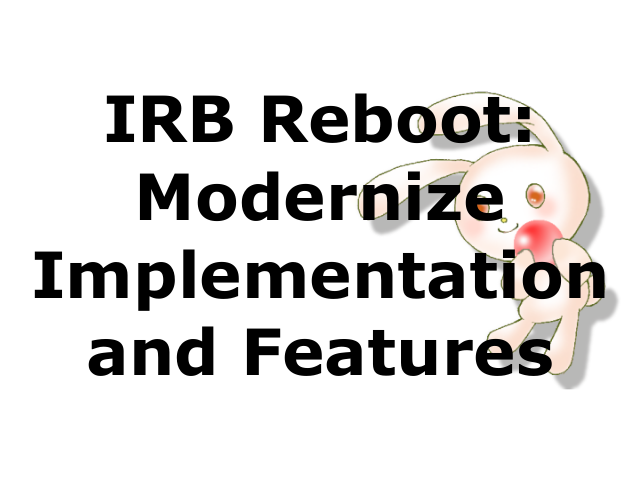 This is second patch for IRB. It's the same opinion of me. 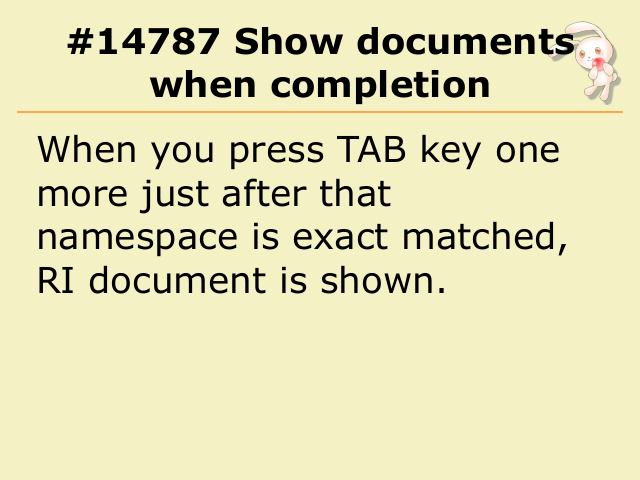 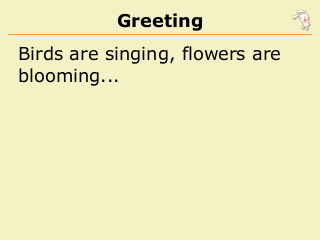 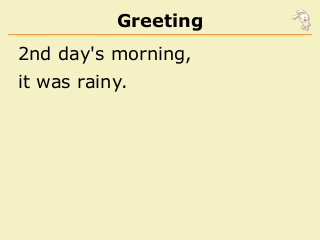 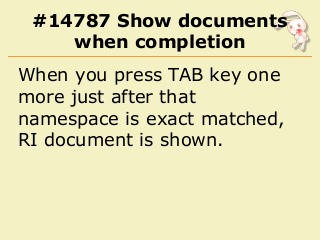 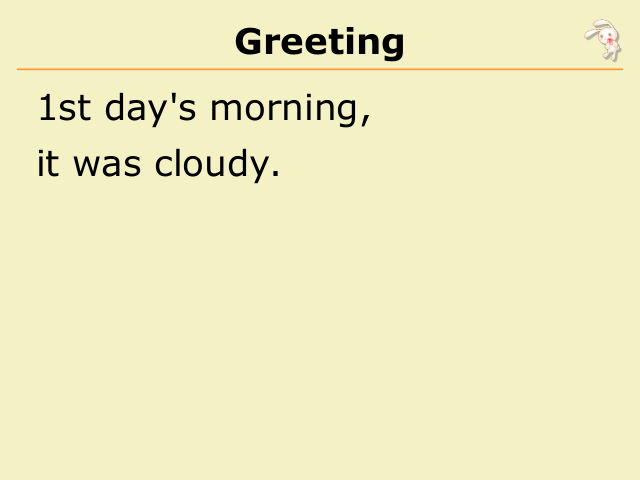 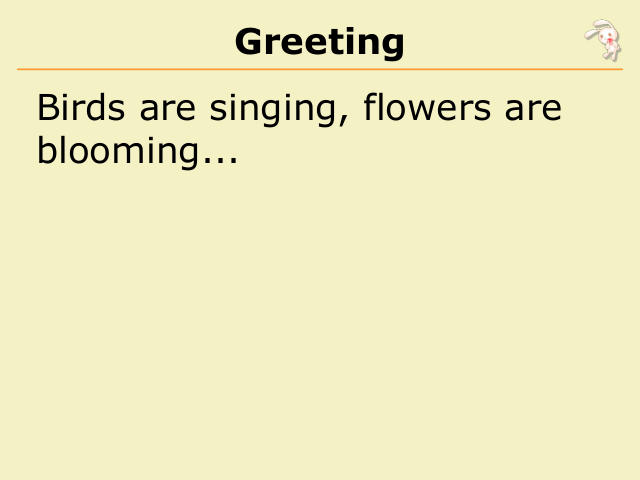 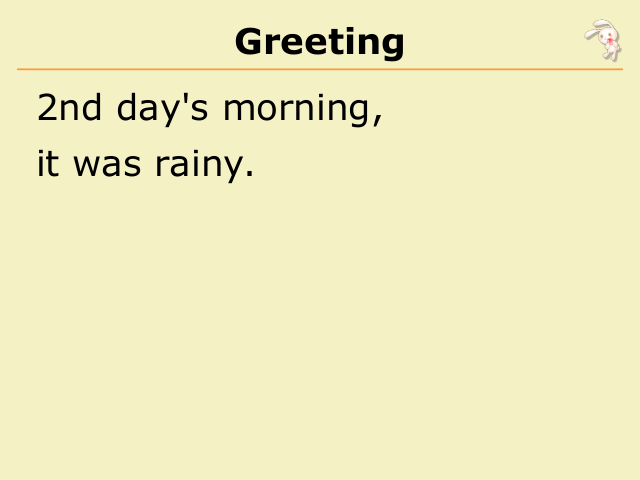 when it caught TAB key. 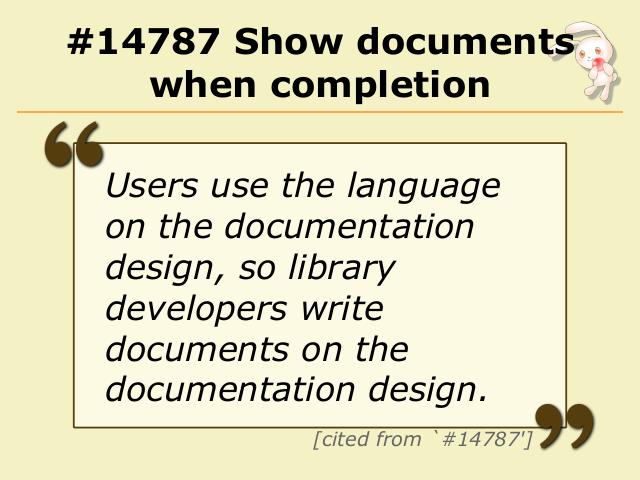 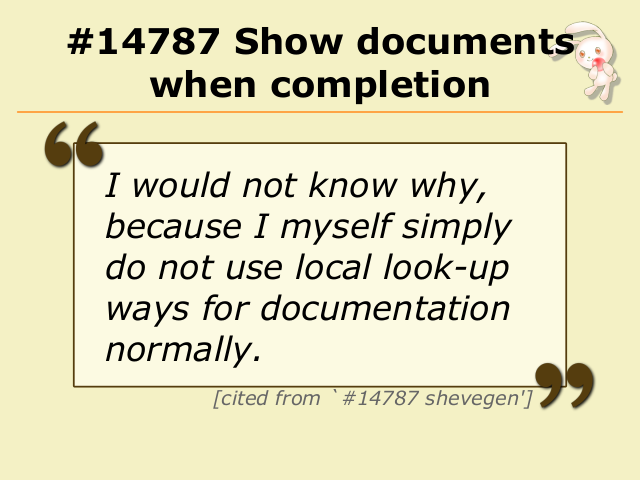 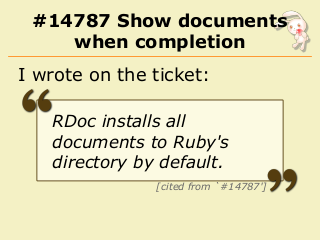 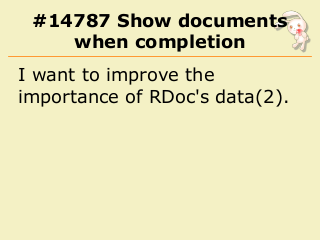 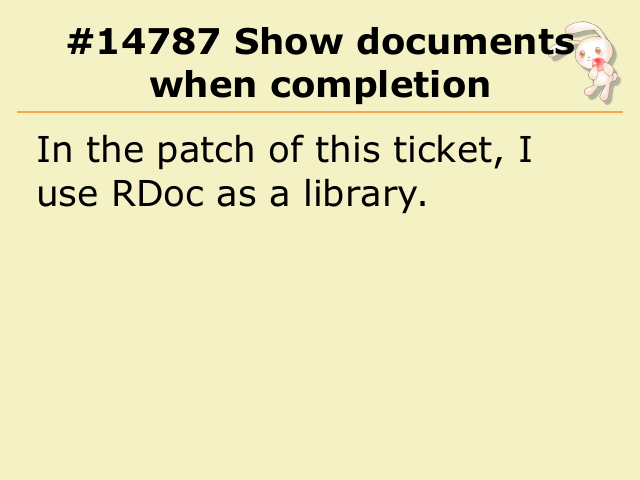 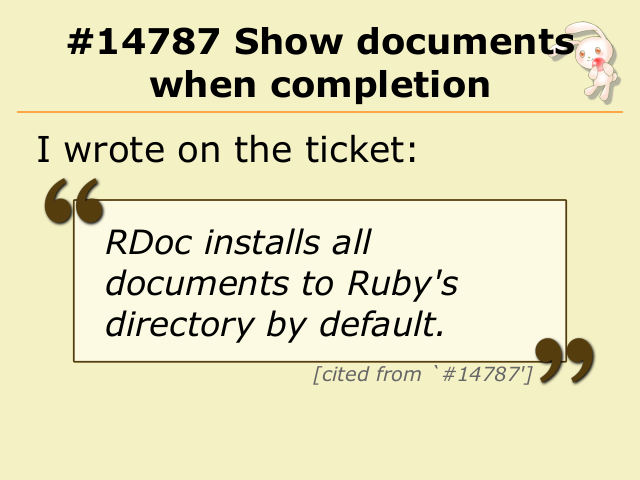 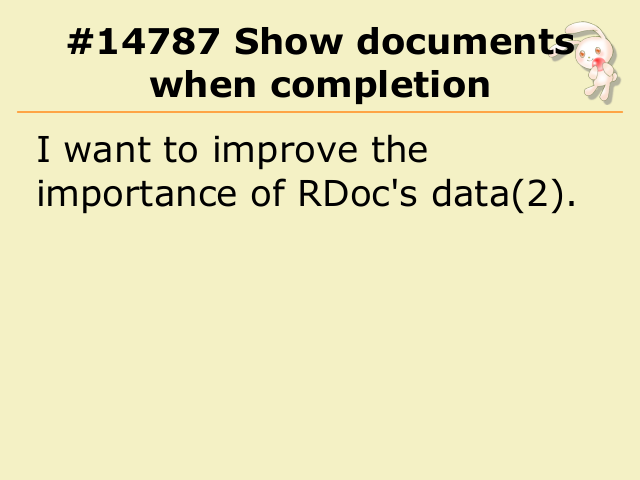 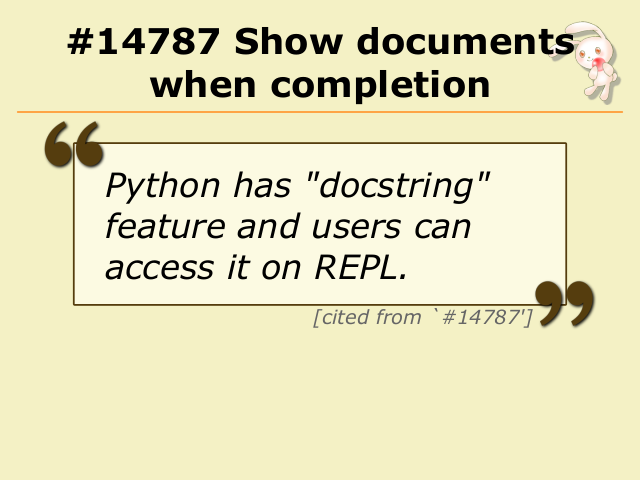 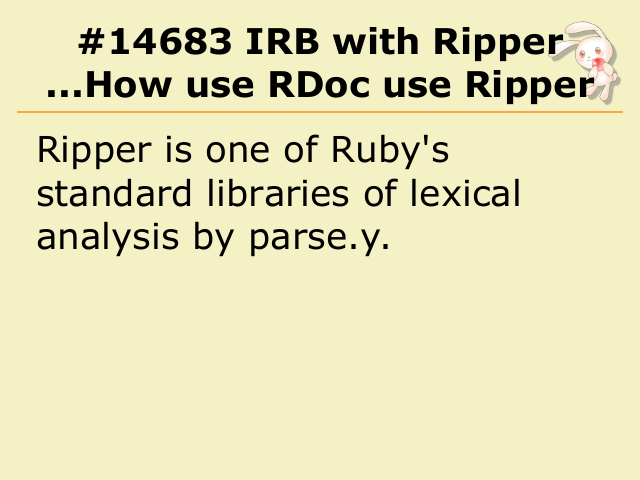 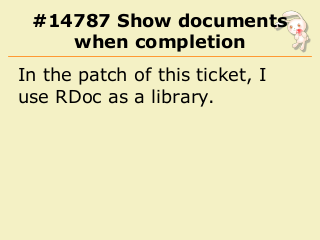 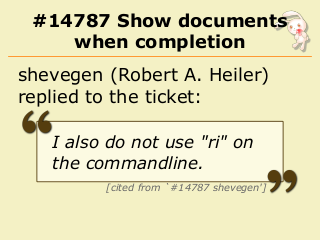 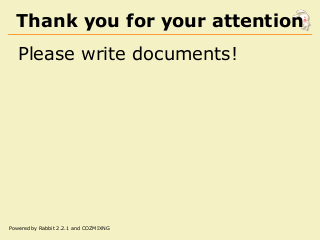 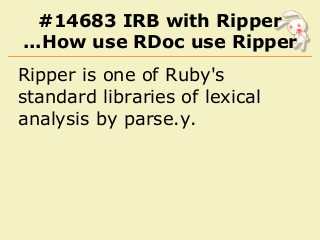 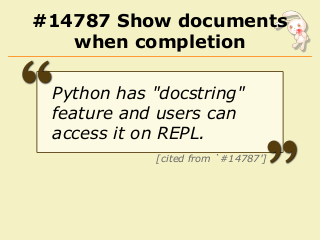 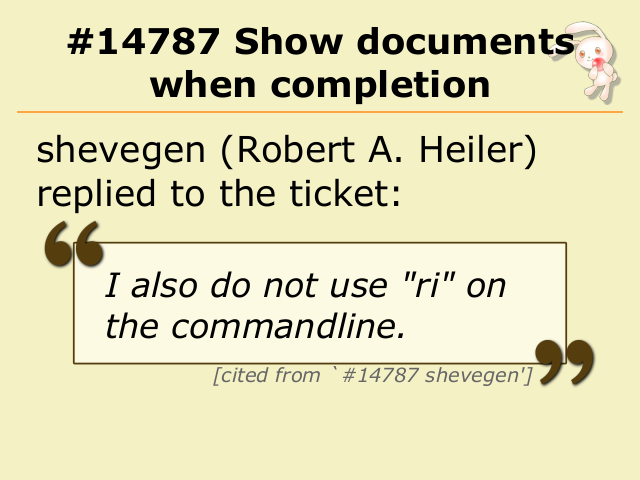 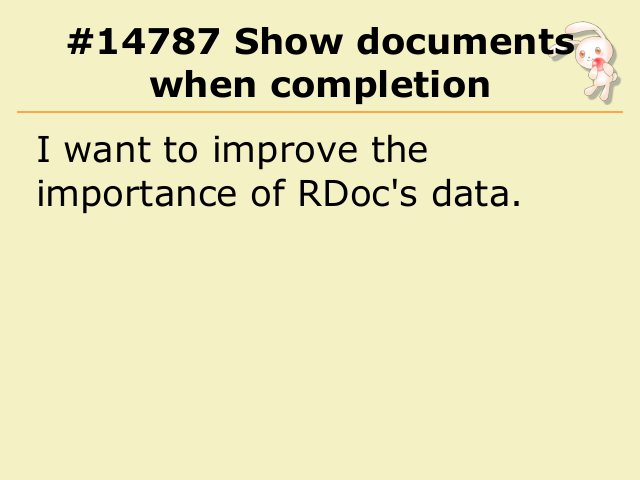 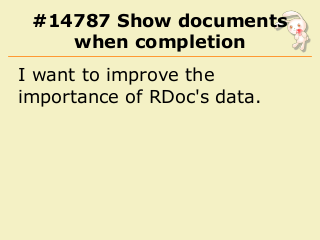 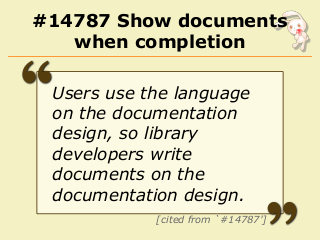 use RDoc as a library. 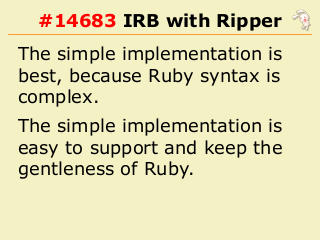 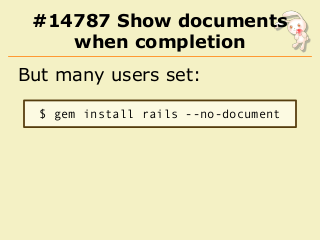 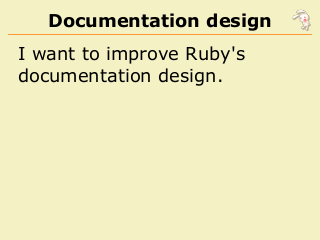 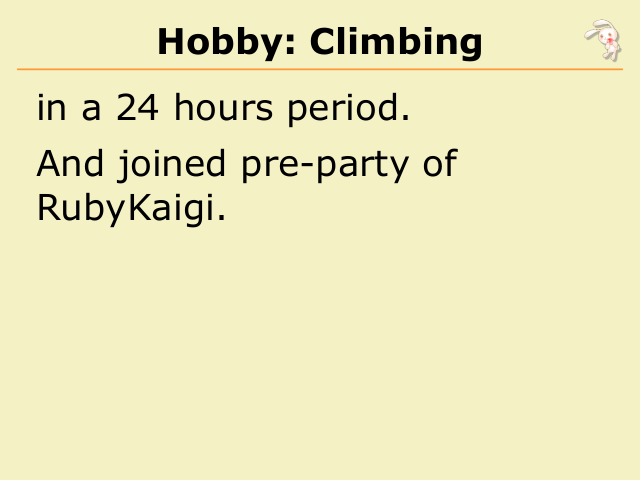 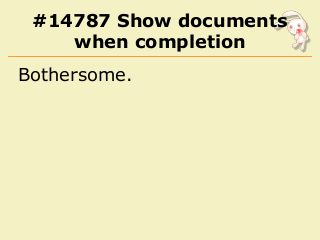 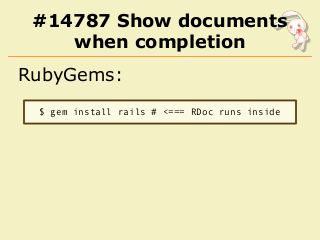 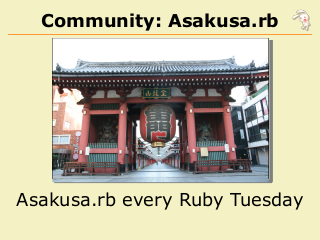 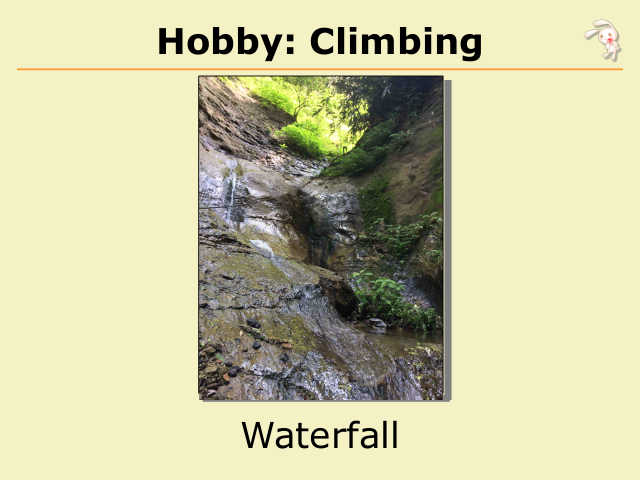 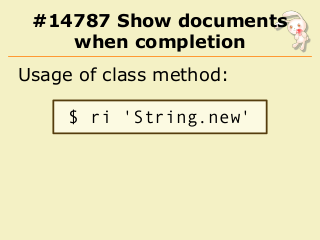 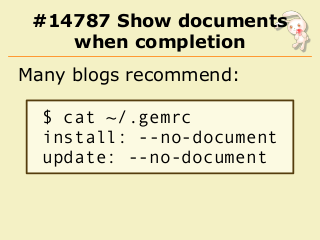 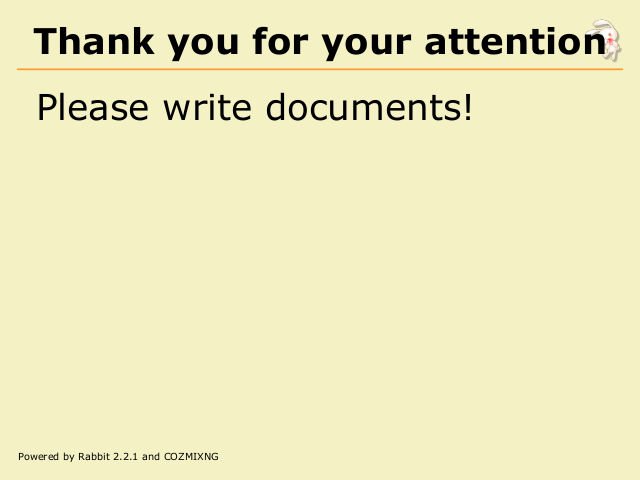 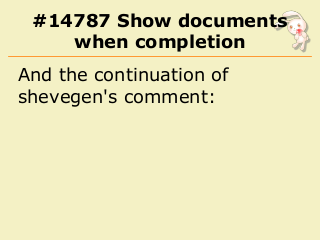 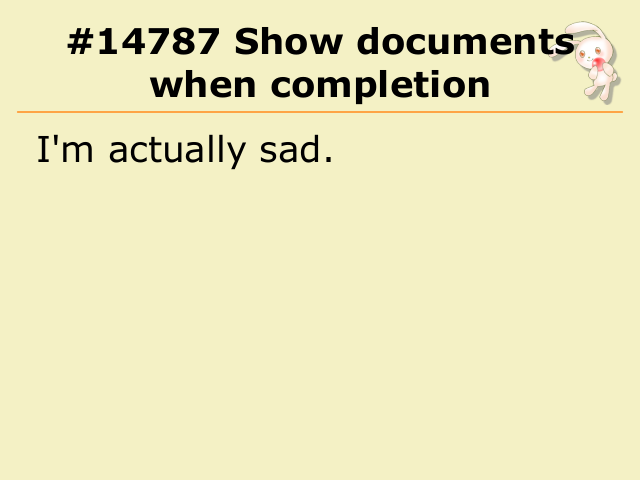 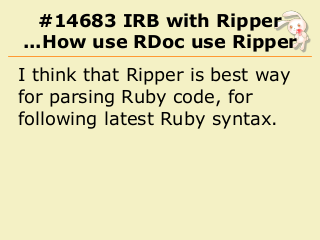 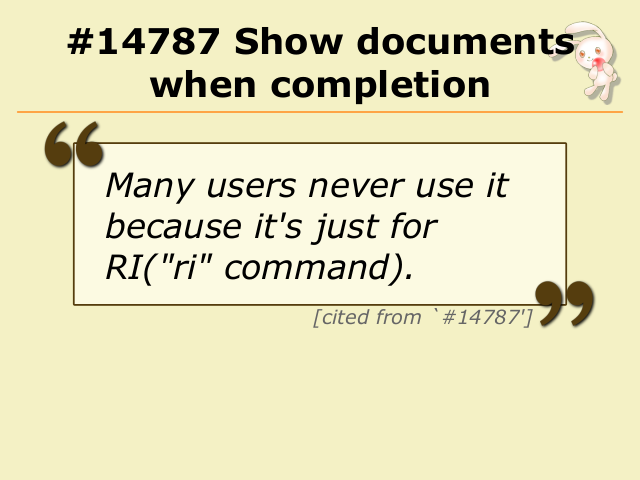 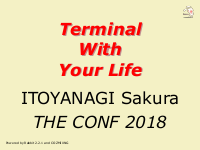 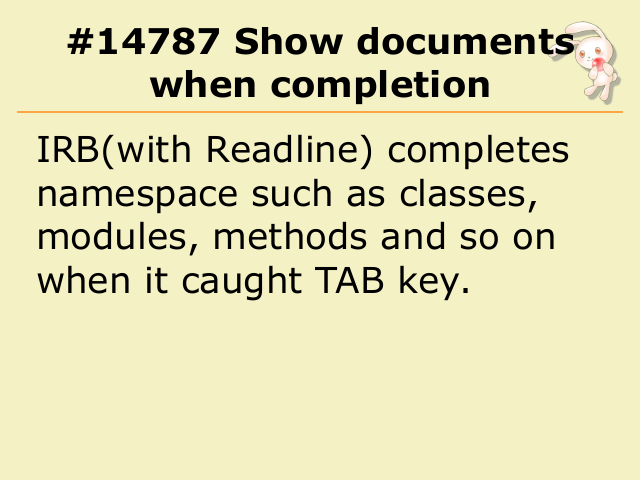 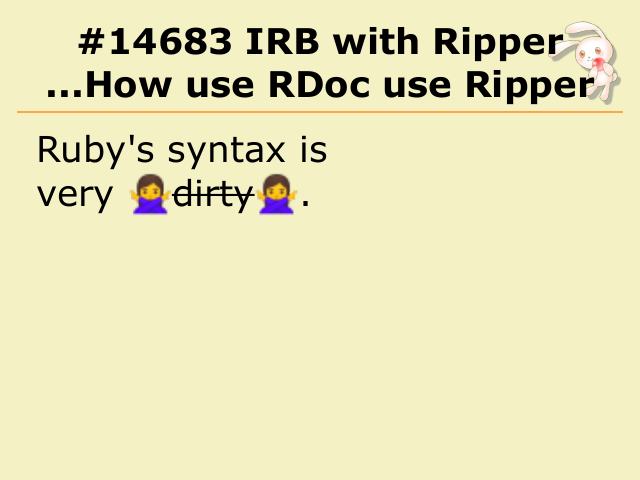 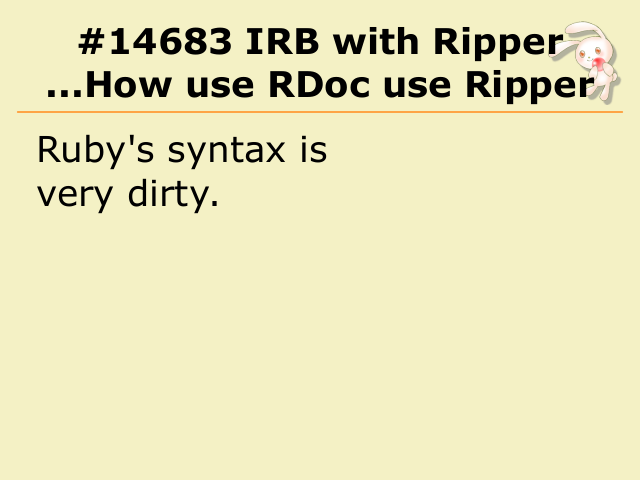 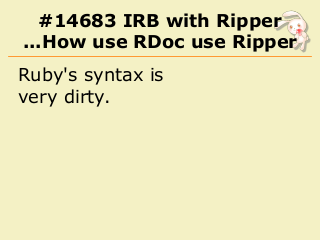 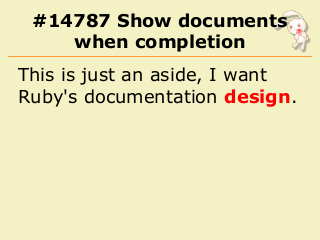 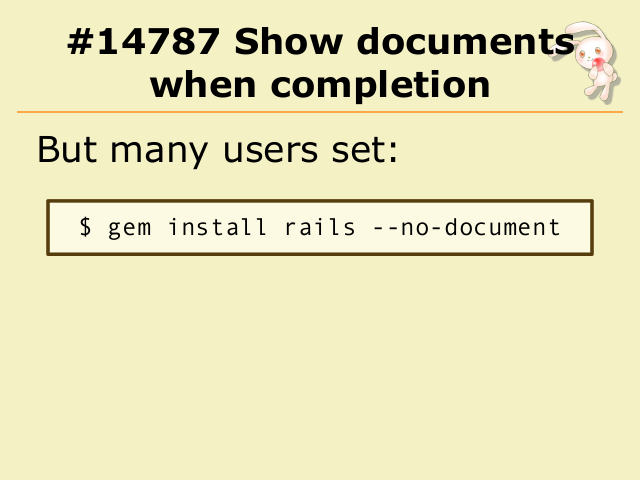 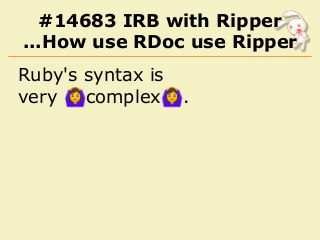 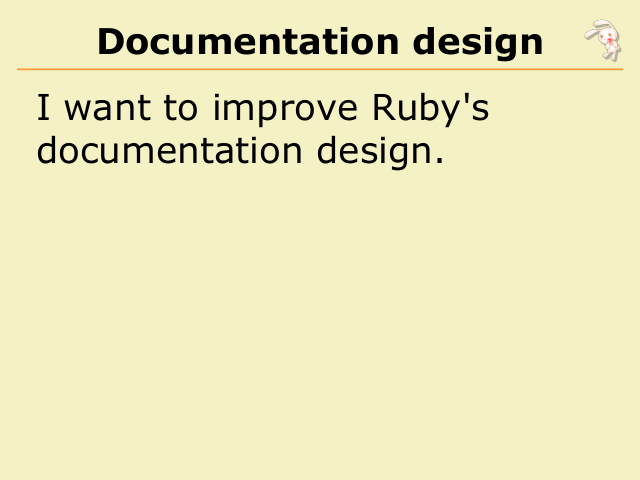 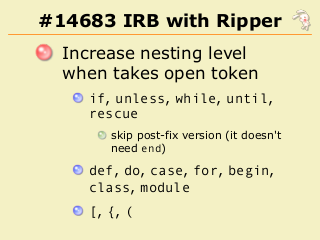 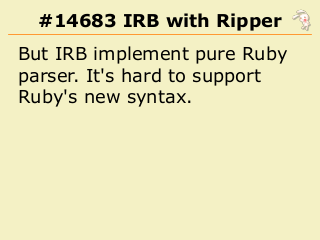 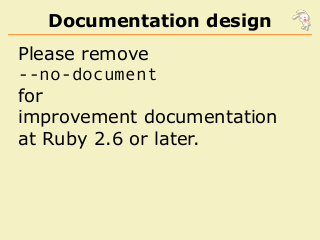 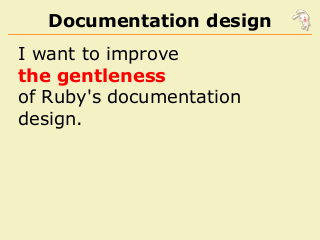 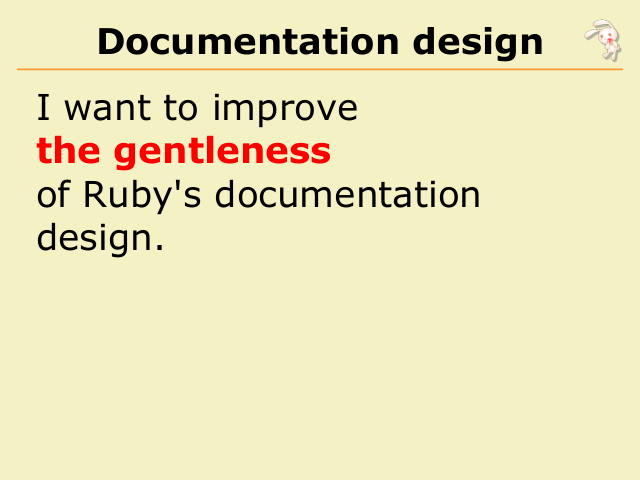 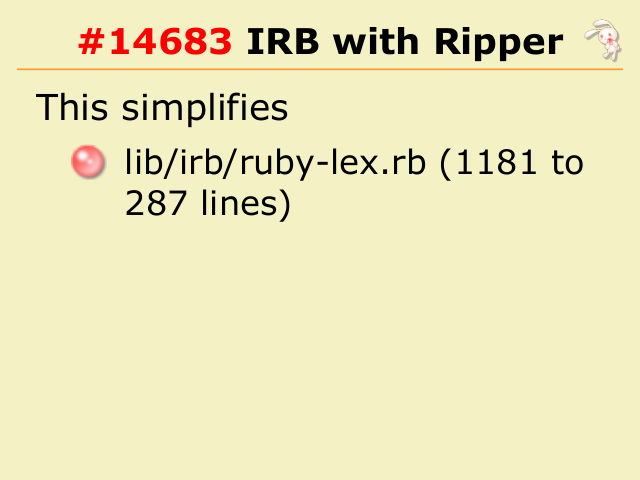 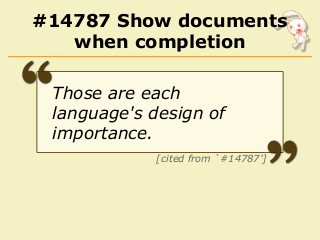 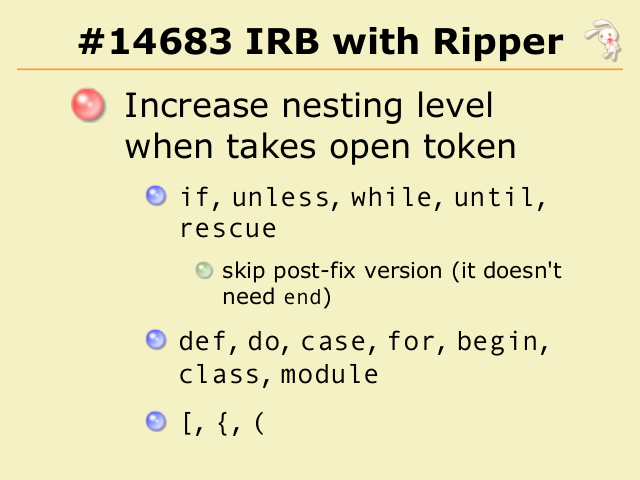 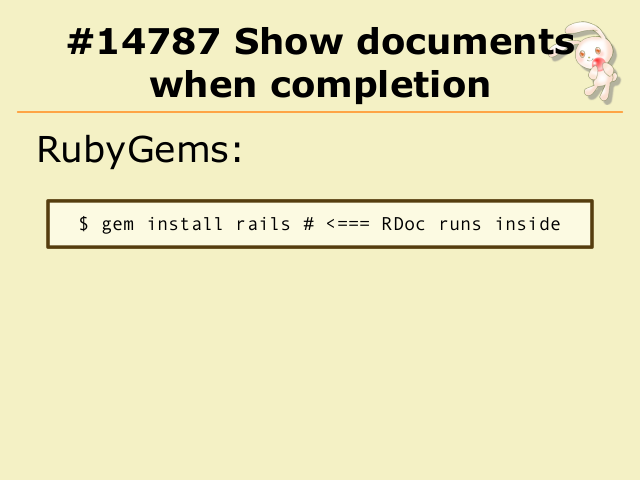 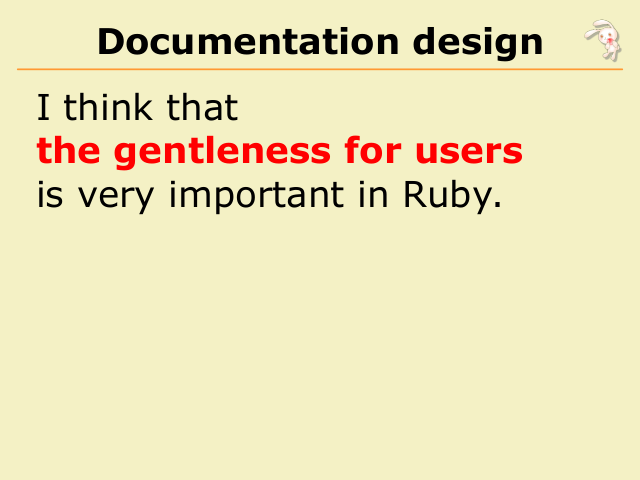 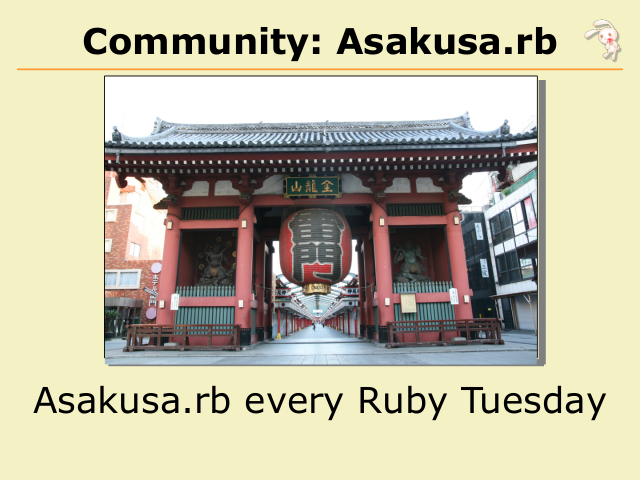 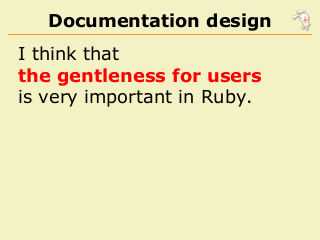 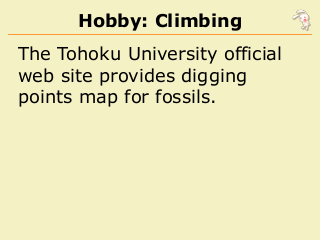 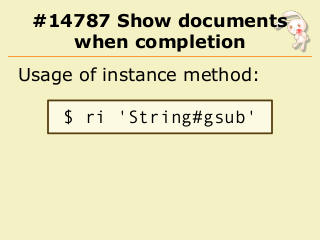 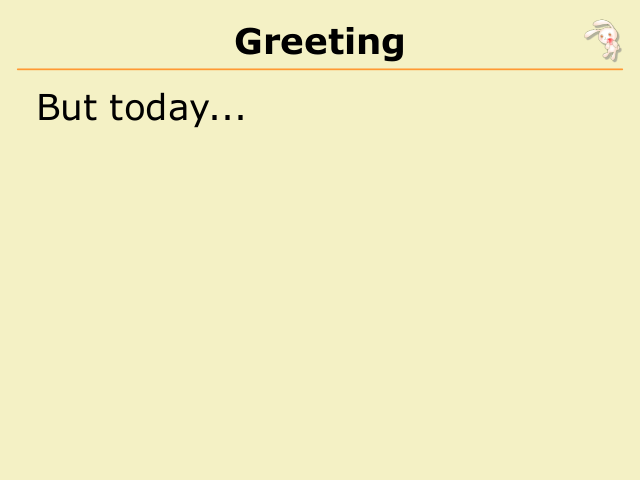 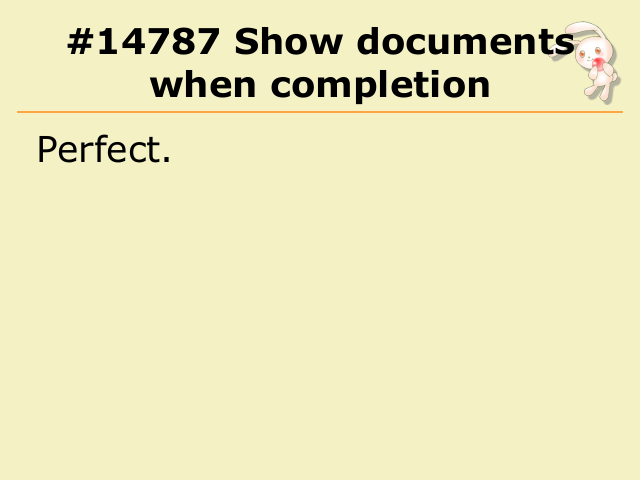 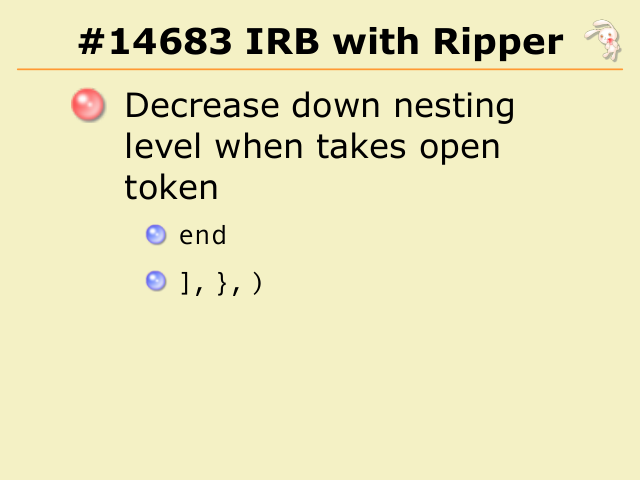 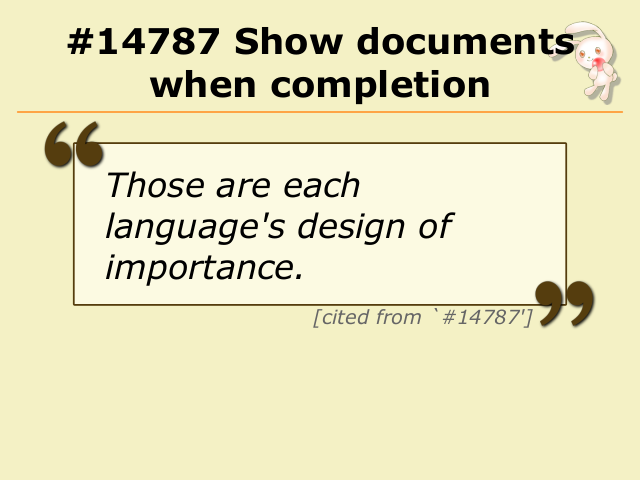 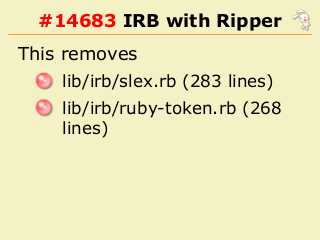 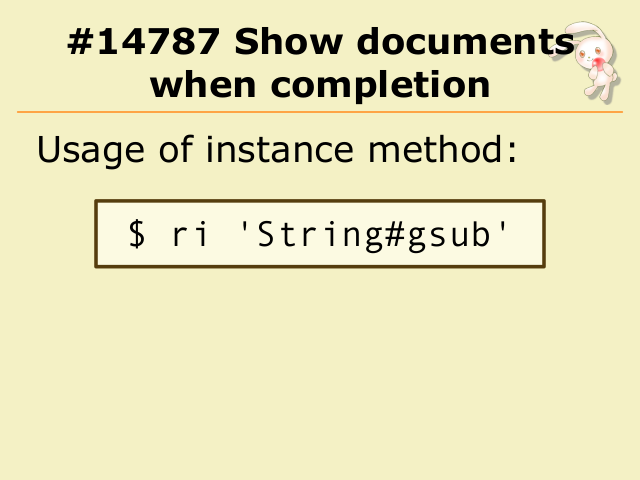 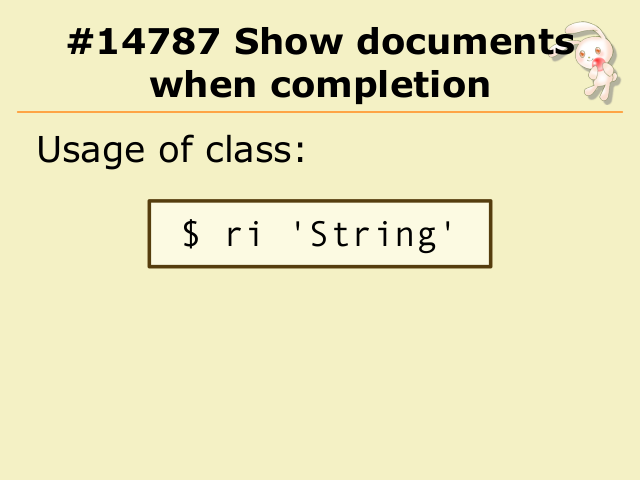 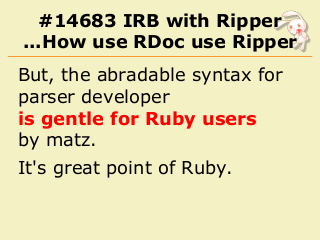 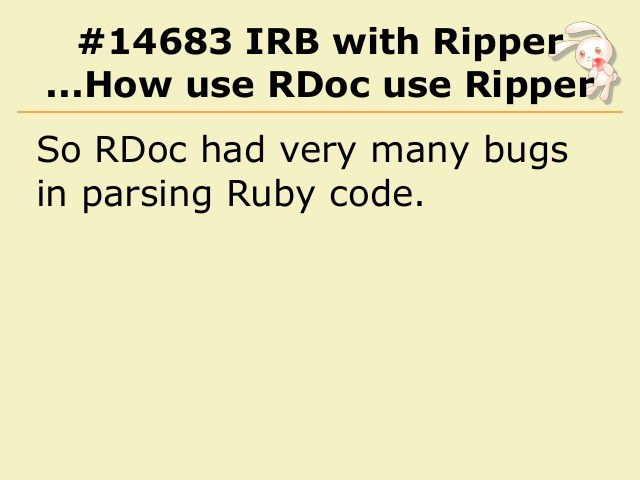 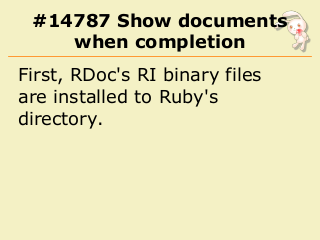 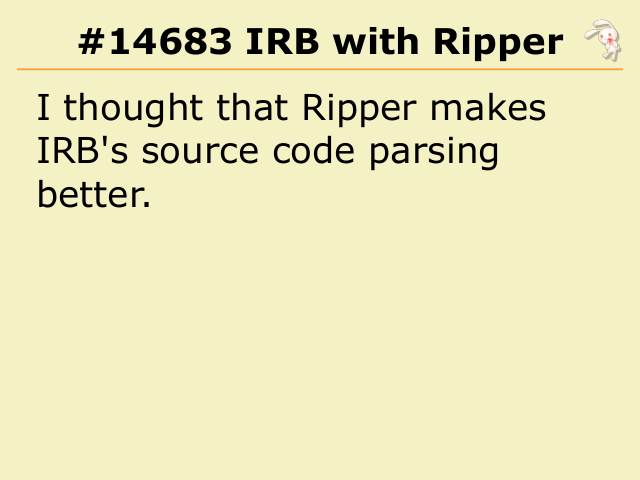 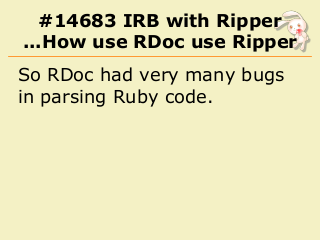 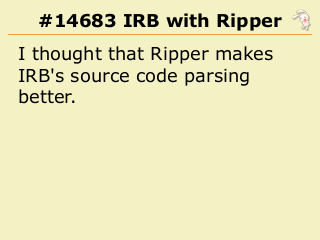 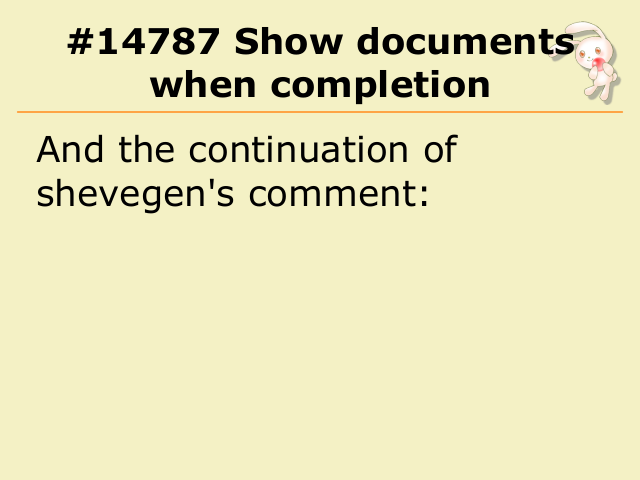 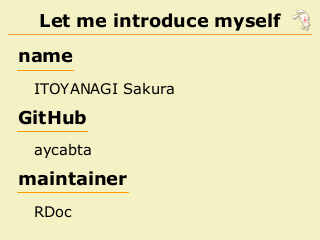 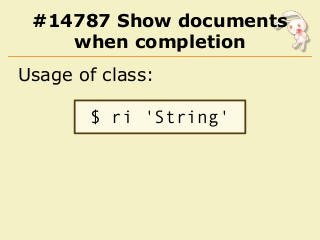 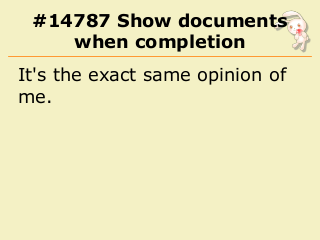 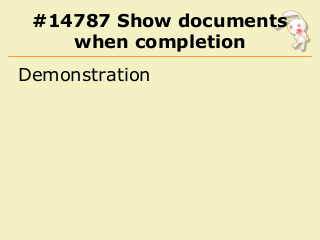 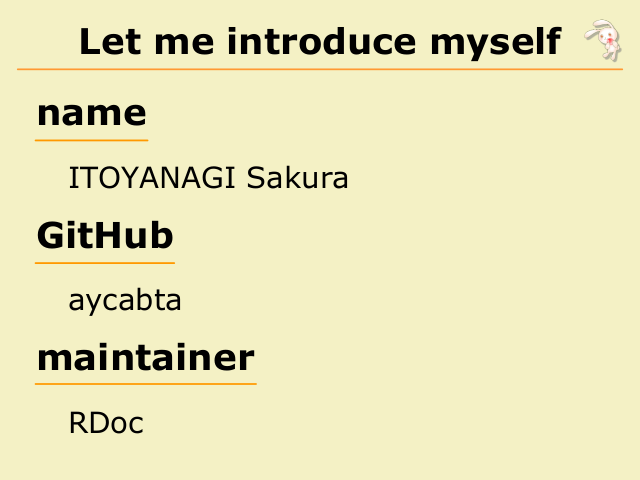 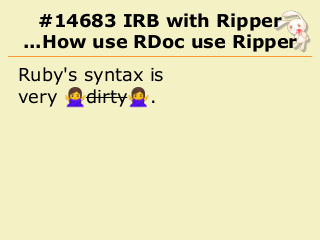 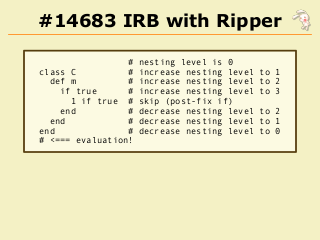 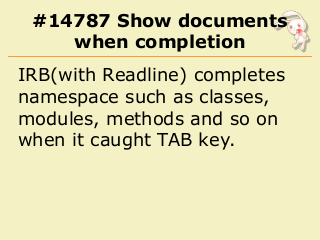 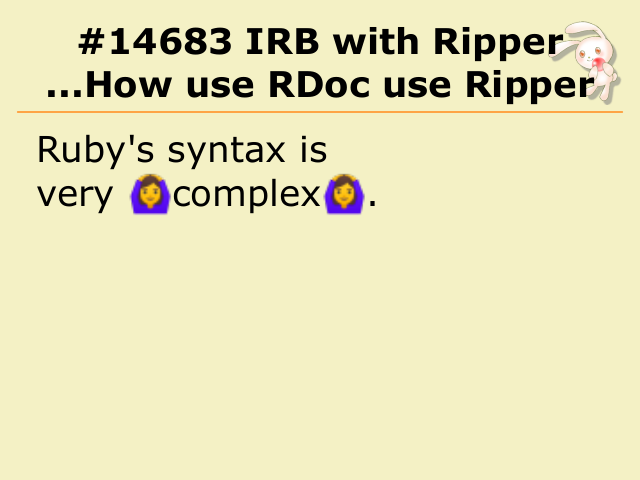 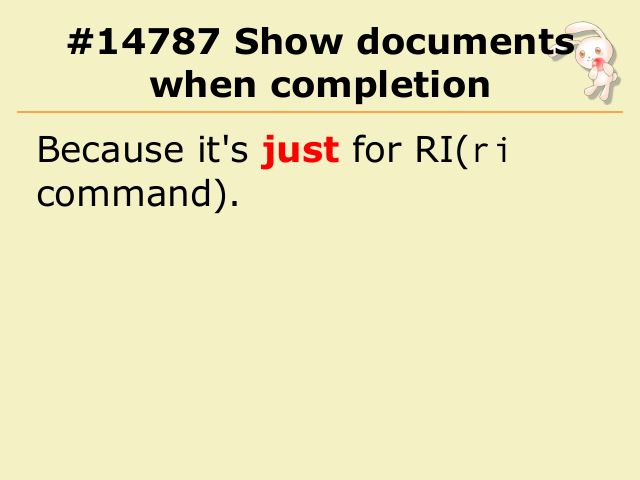 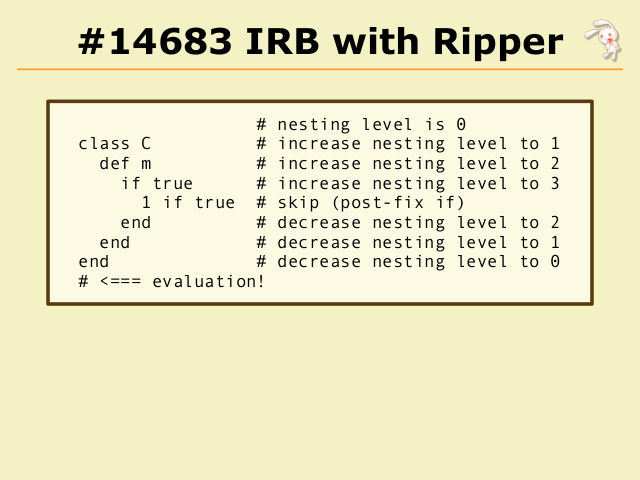 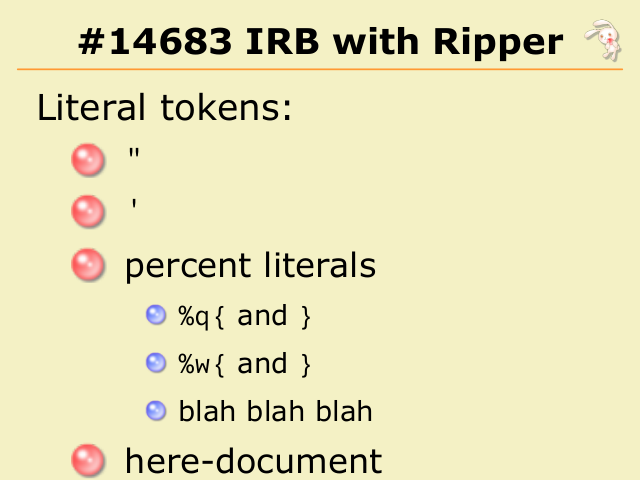 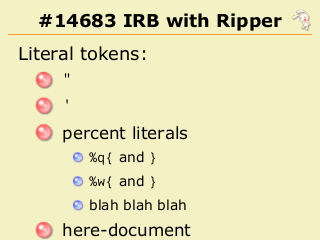 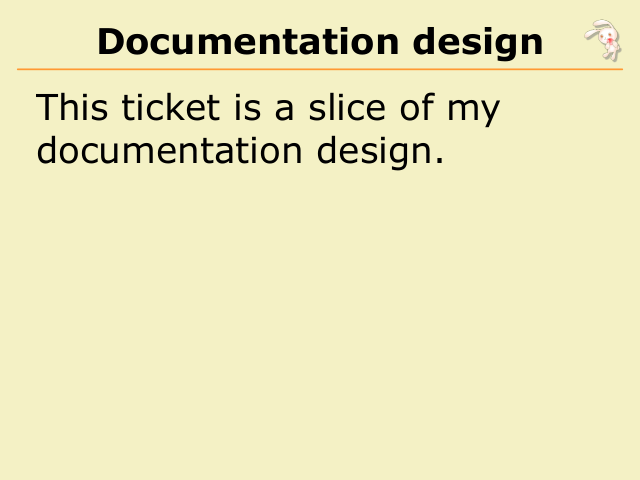 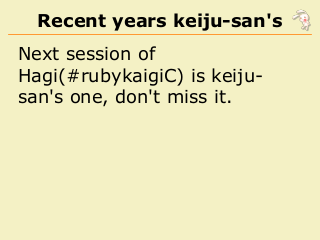 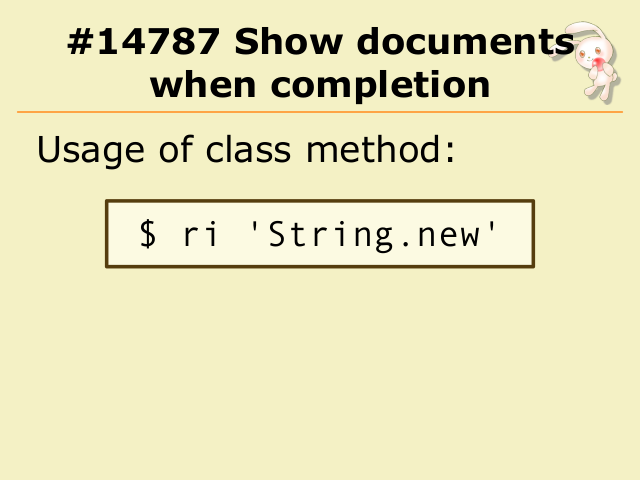 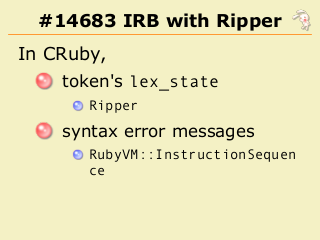 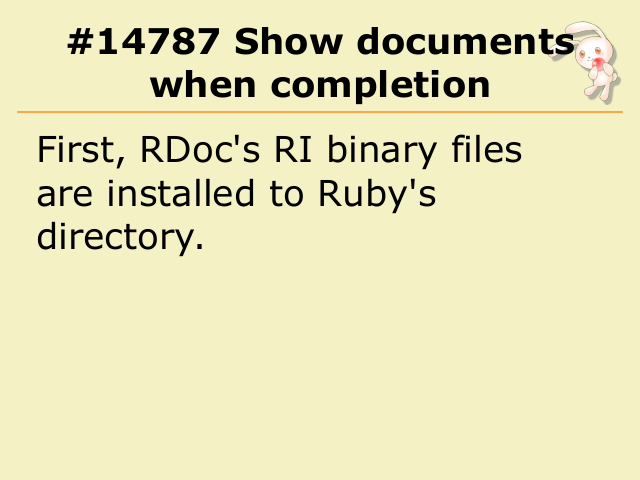 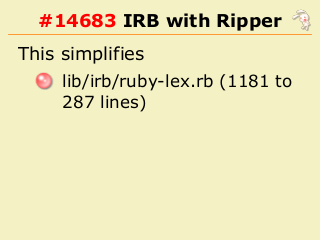 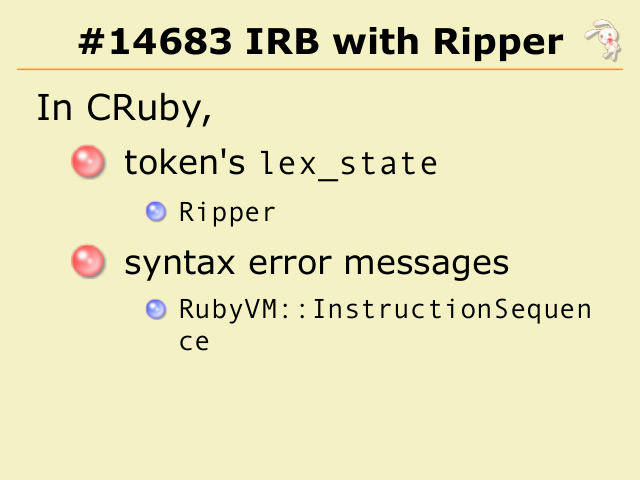 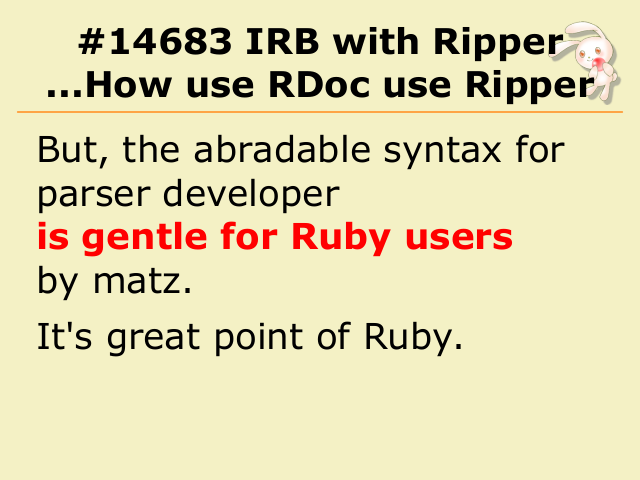 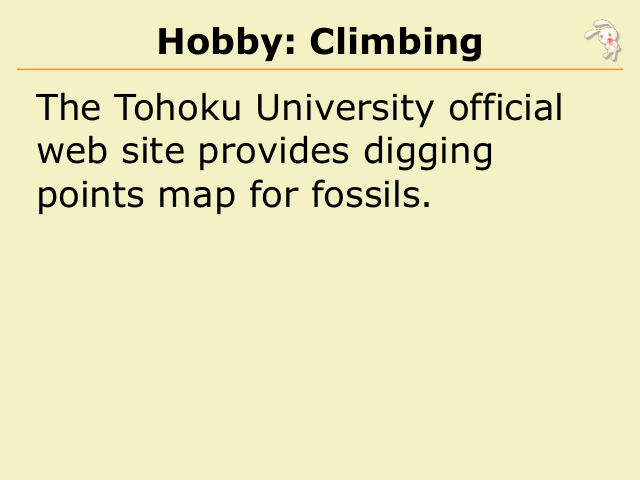 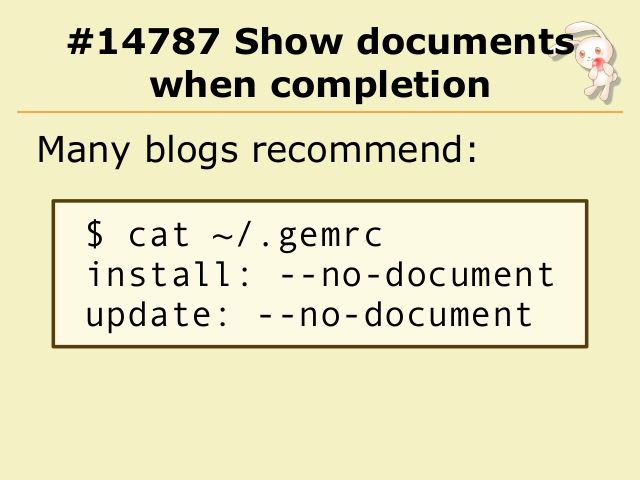 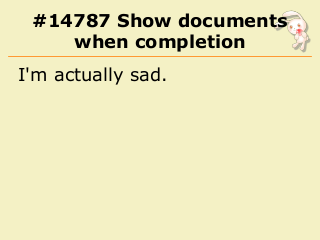 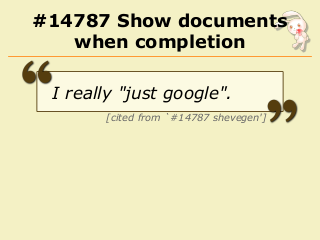 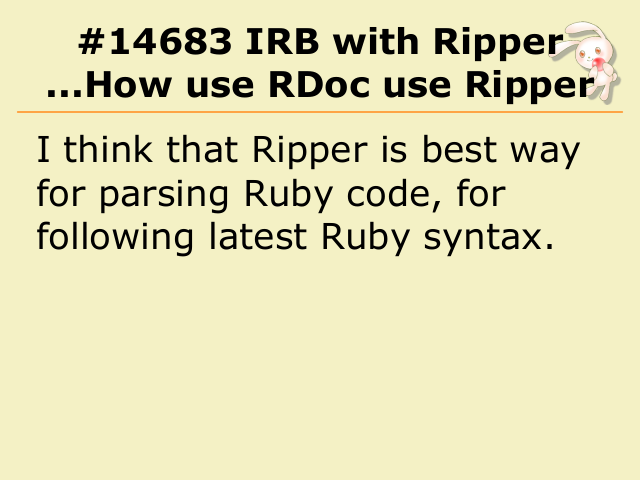 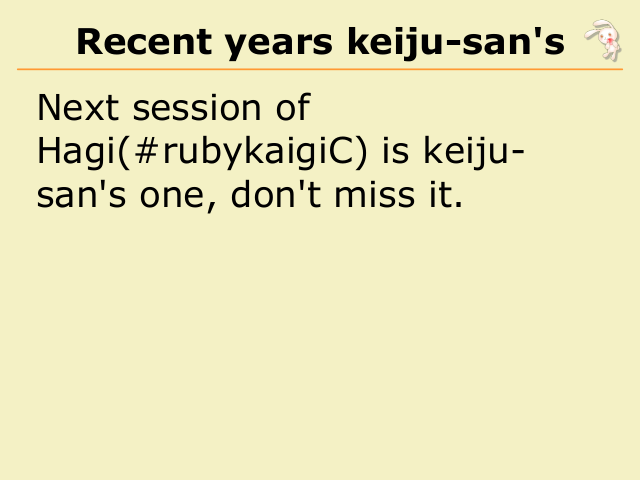 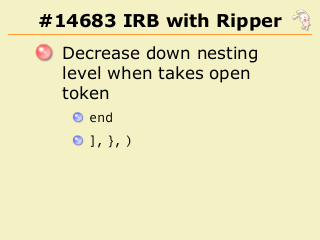 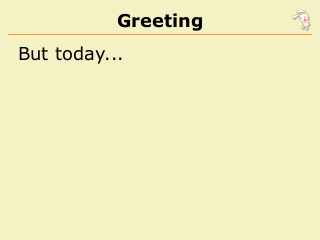 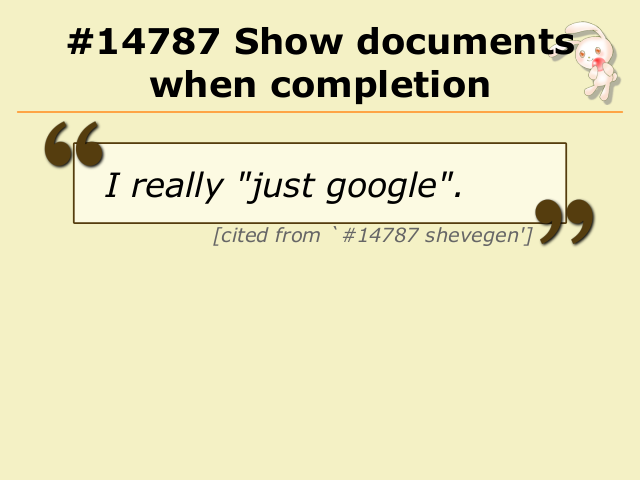 is very important in Ruby. 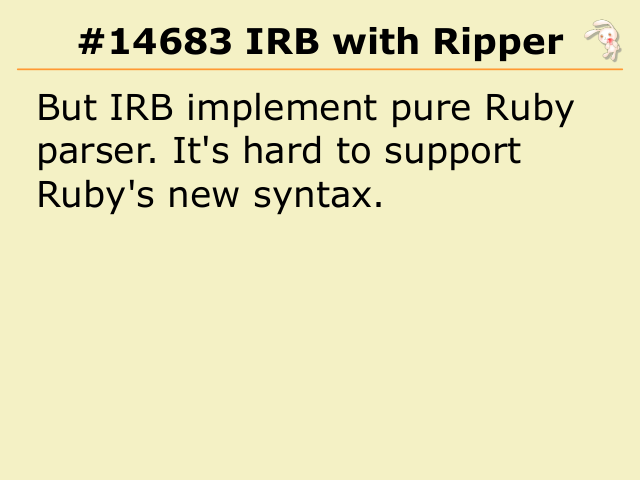 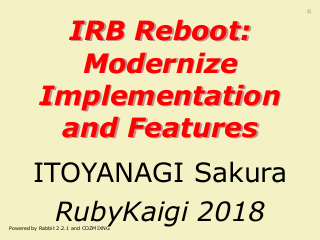 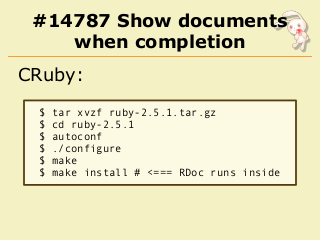 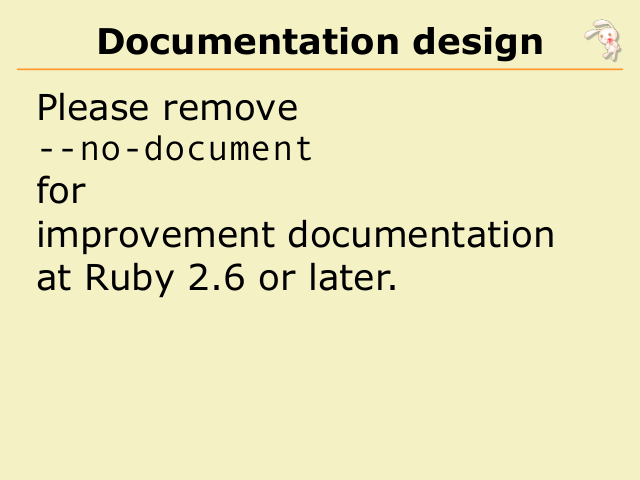 at Ruby 2.6 or later.